Stan Lee | "How Would You Fix...?" 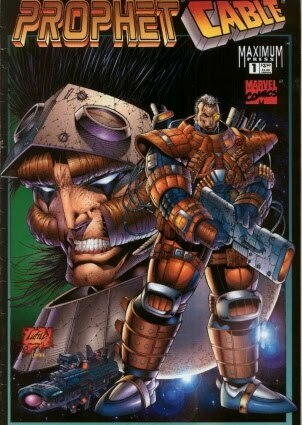 This Fix comes from long time Hulk fan, Deadfast Author and BAD HAVEN founder Mark ‘The Bad Man’ McCann. 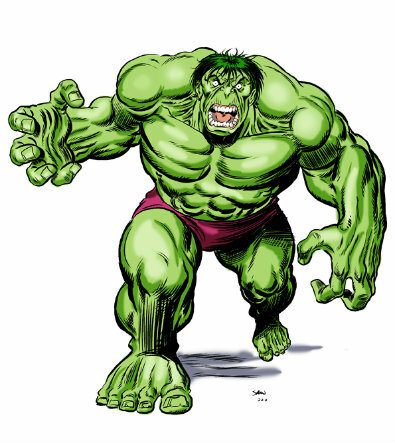 Since his inception The Incredible Hulk has been held up as an analogy for many things; the 60’s counter culture urge to rise up against repression – a reaction to the frustrations of war and the fear of nuclear side effects/ mutations and even a study on anger and justified violence. 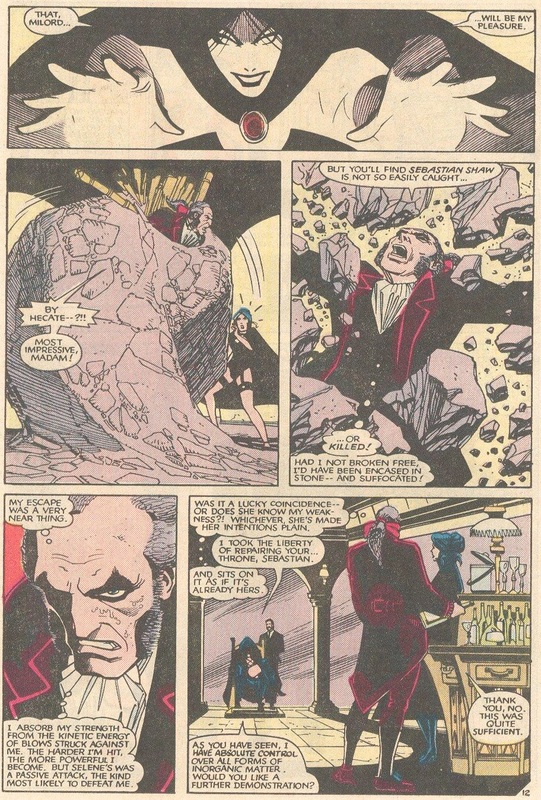 Stan Lee called the character ‘a golem’ in line with Jewish myth, and recalled Hulk as the Atomic Age Jekyll and Hyde. 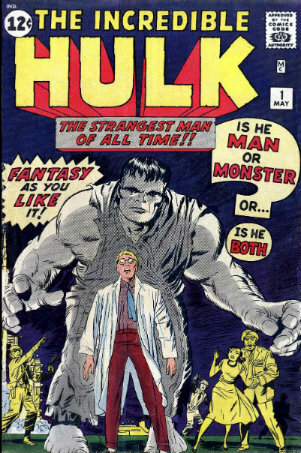 But with so many dissonant personalities emerging over the years of his publication history it’s difficult to give a cohesive history of what exactly ‘Hulk’ really is when compared to his character history as an off-shoot of a gamma bomb experiment gone wrong and the fractured psyche of genius nuclear physicist Bruce Banner. 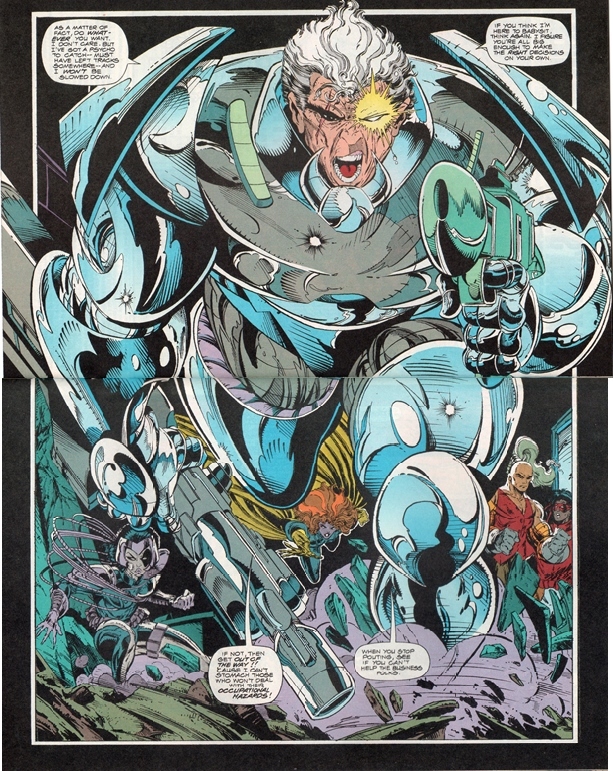 What we can agree on, is that from his initial appearance, although retconned and retconned again, Hulk emerged from the Gamma Bomb explosion of Banner’s own design a grey behemoth who would revert to Banner by sunrise, and Hulk again at sunset. This Hulk was different to the more commonly known version; a rampaging, monosyllabic, childlike engine of destruction. 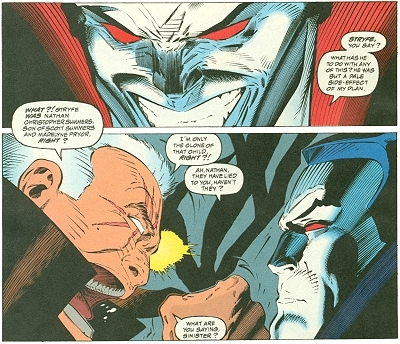 And although the actual reasoning behind this change would be more one of simple editorial practicality (The grey colouring during his first appearance in Incredible Hulk #1 proved problematic; ‘resulting in different shades of gray, and even green, in the issue’), the effects of the later change to ‘Green’ for the character and ‘childlike’ to the personality would be the catalyst for a long list of personality changes that would result in one of the most seemingly schizophrenic characters in comics. 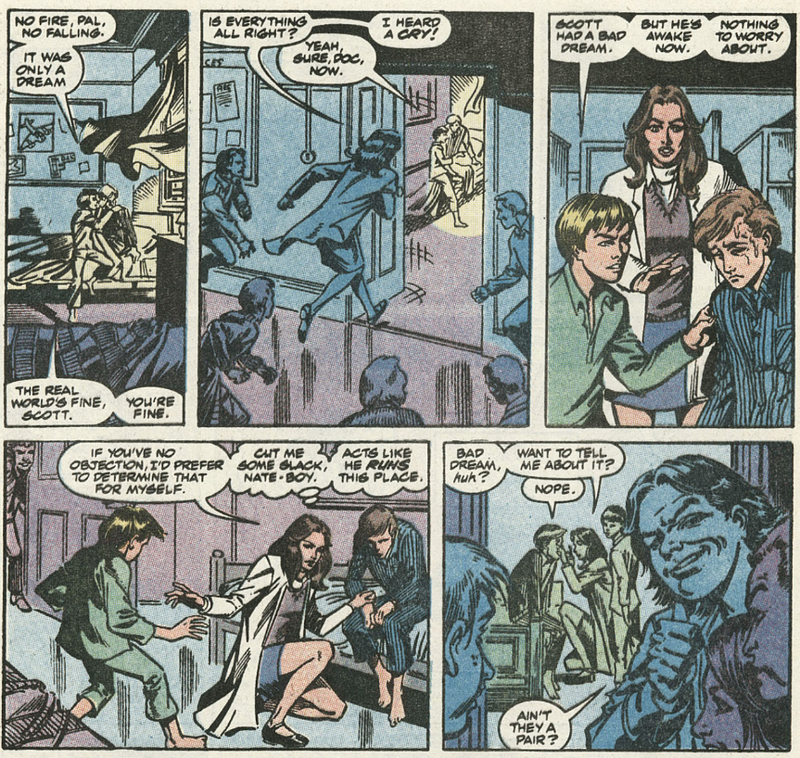 The reasoning behind the many sides of Hulk was elaborated on by writer Bill Mantlo who took the reins of the Hulk series with issue #245 (1980), when the writer alluded to Bruce Banner’s child abuse at the hands of his violent father, who would be shown in later issues to go one step further in traumatizing his son, by murdering Bruce’s mother. The many faces of Hulk are hypothesized as a side effect of this abuse, which would later under the writing tenure of Peter David (during his 12 year run from issue #331 – 1987) be diagnosed as Multiple Personality Disorder, or Dissociative Identity Disorder. Dissociative disorders including DID have been attributed to disruptions in memory caused by trauma and other forms of stress, but research on this hypothesis has been characterized by poor methodology and in some cases doesn’t add up. 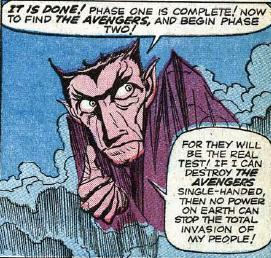 But it would make perfect sense that Banner, especially from his early appearance as a troubled Nuclear physicist working on a Gamma Bomb under the watchful, and somewhat aggressive eye of General Thaddeus ‘Thunderbolt’ Ross would create a side personality, an aggressive alpha male personality composed of Banner’s smarts, and a cunning of his own, internally to combat his own insecurities. 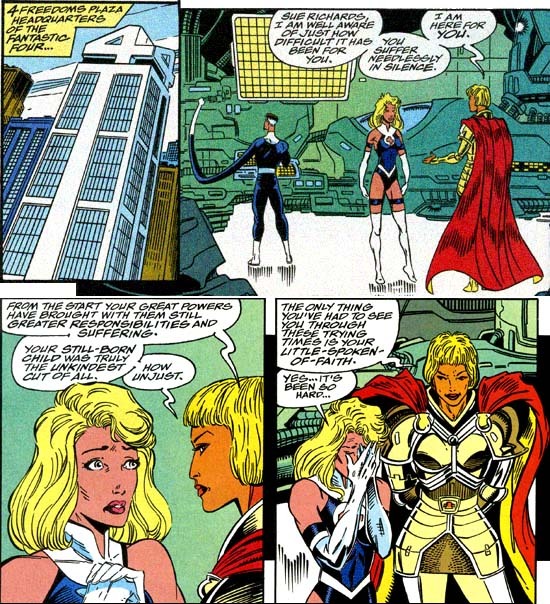 Banner was in a difficult situation, with feelings for the General’s daughter Betty and overshadowed by two existing powerful male figures in her life – Ross and Major Glenn Talbot, Betty’s husband to be. 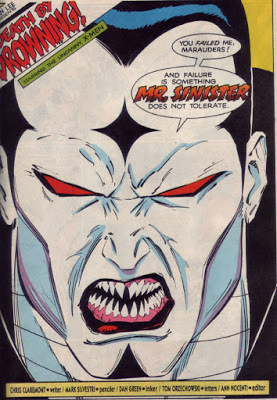 This personality Banner created – the Grey Hulk – who would later seemingly devolve into a rampaging green behemoth was the same ‘Joe Fixit’ Hulk from later issues (Incredible Hulk #324 onwards) and I contend a product of Banner’s secret rage, inadequacy (Major Glenn Talbot was about engaged to the woman he loved, Betty Ross, General Ross’ daughter, and both Ross and Talbot were ‘real men’ and treated Banner with scorn) and lust (for Betty Ross). 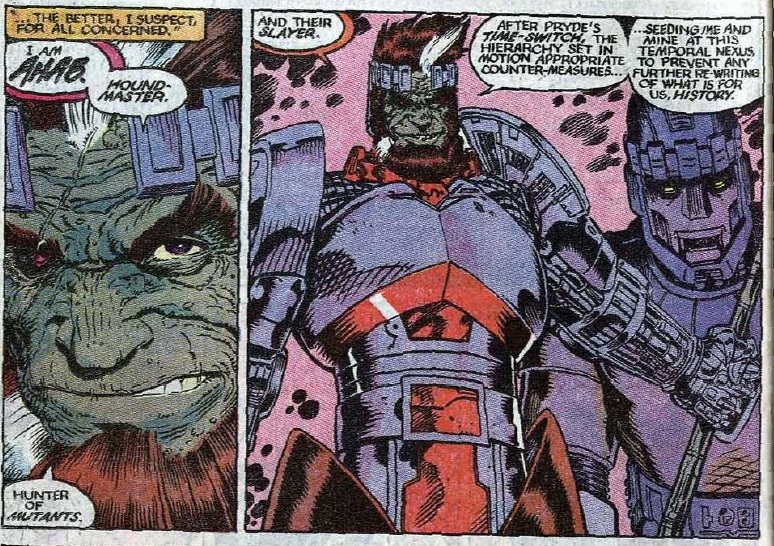 Described as; cunning, crafty, hedonistic, arrogant, and distant, this Hulk persona, still in his inception was later suppressed by Banner using the gamma ray machine he creates to return his intelligence to Hulk’s body. 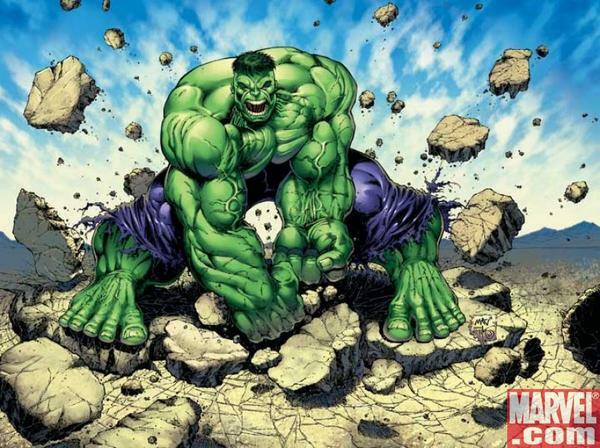 This alters Hulk’s colour to green and makes Banner weakly and sick when he reverts from his monstrous transformations. Overuse of this machine, which could be categorized as continual stress on Banners part, would later induce the better known Savage Hulk persona, the hulking monosyllabic beast he is best known for, and has been a continuous presence throughout Hulk’s publication history. 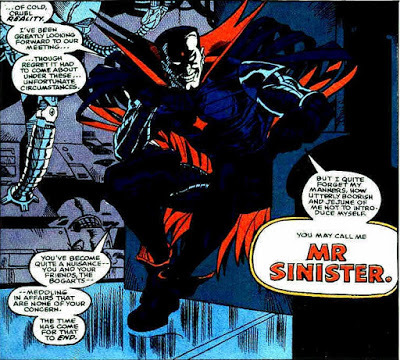 But this persona, while best categorized by his catch-phrase ‘Hulk Smash’, was hunted by the US Army and served as an Avengers antagonist, yet more often than not expressed an interest in being left alone. 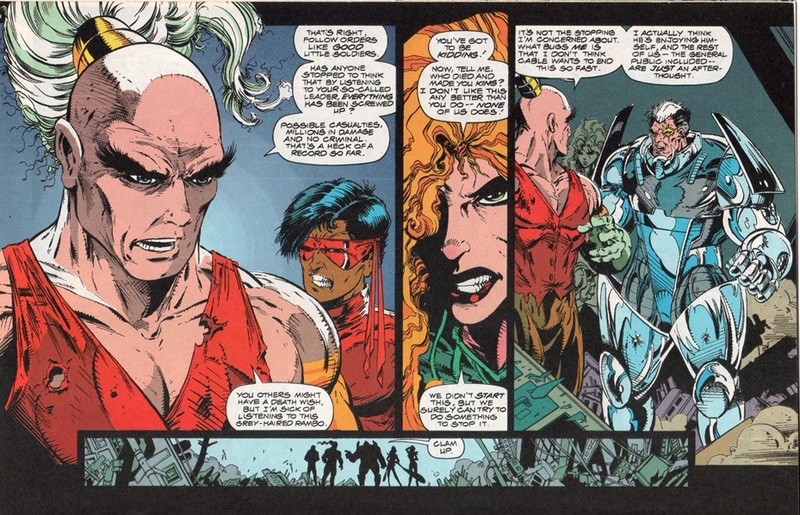 The reasons for this I contend, are that while Banner may have been suffering from DID, his strongest human instincts, the ones wired for survival, are what causes the manifestation of this particular Hulk. 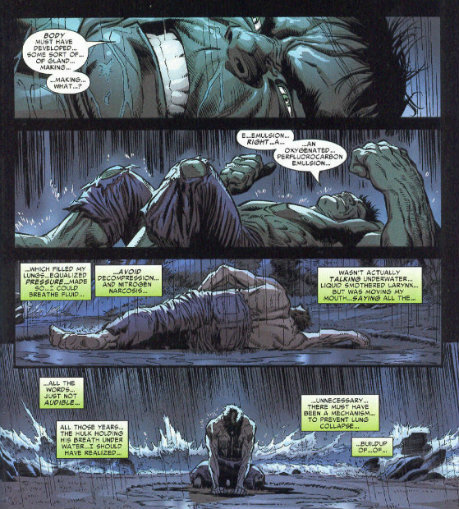 And the reason that no matter how many times Hulk’s personalities change or evolve; when under extreme stress or experiencing traumatic external events, it seems the Savage Hulk emerges prevalent as the one aspect of Bruce Banner’s persona that he cannot keep suppressed; his innate human survival instinct. 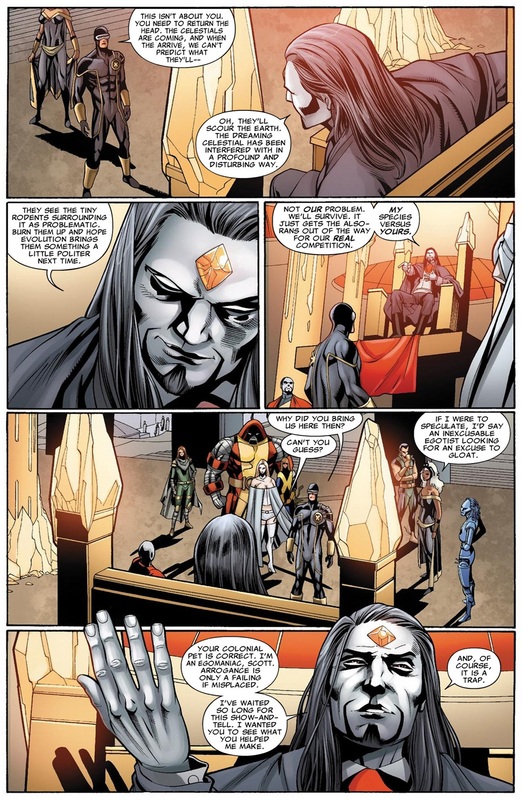 This has been the case when Banner existed as The Grey Hulk, and later the Merged Hulk or Professor Hulks (an amalgamation of all 3 of his dissociative personalities, including Banner). 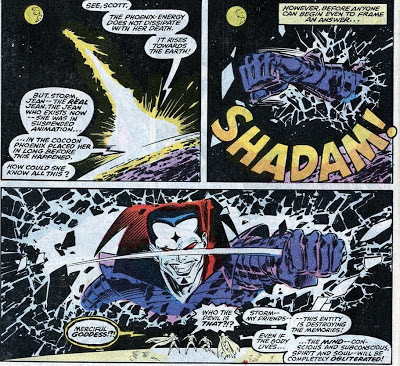 Through his transformations Banner’s personalities found a way to emerge, but I contend that his transformation itself, is something that happens purely on an instinctual level, something that Banner has harnessed to varying degrees, but has never been fully able to control. 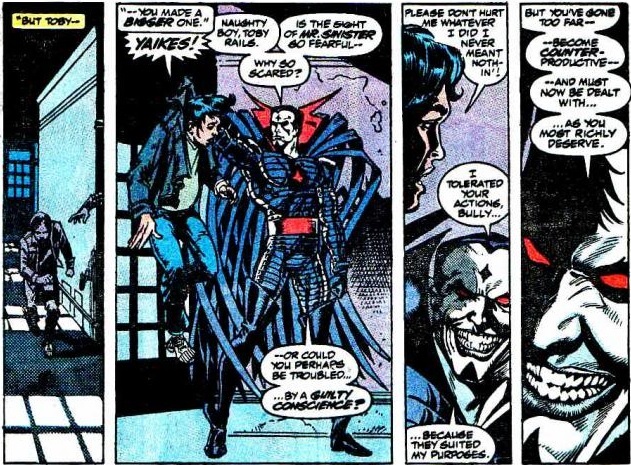 This also helps explain why on the temporary occasions that Banner has managed to separate himself from Hulk it has nearly killed him and/or driven him temporarily mad. 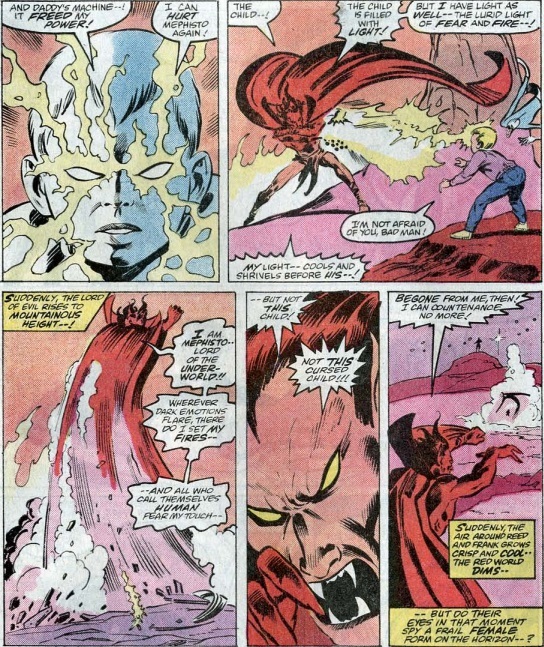 This was also the case with his Hulk alter ego, when during one of these instances (manipulated by the ethereal villain Nightmare) Hulk emerged minus Banner as ‘Mindless Hulk’, an incarnation of Hulk, that without Banner to hold him in check, ran rampant and was completely impossible to control. 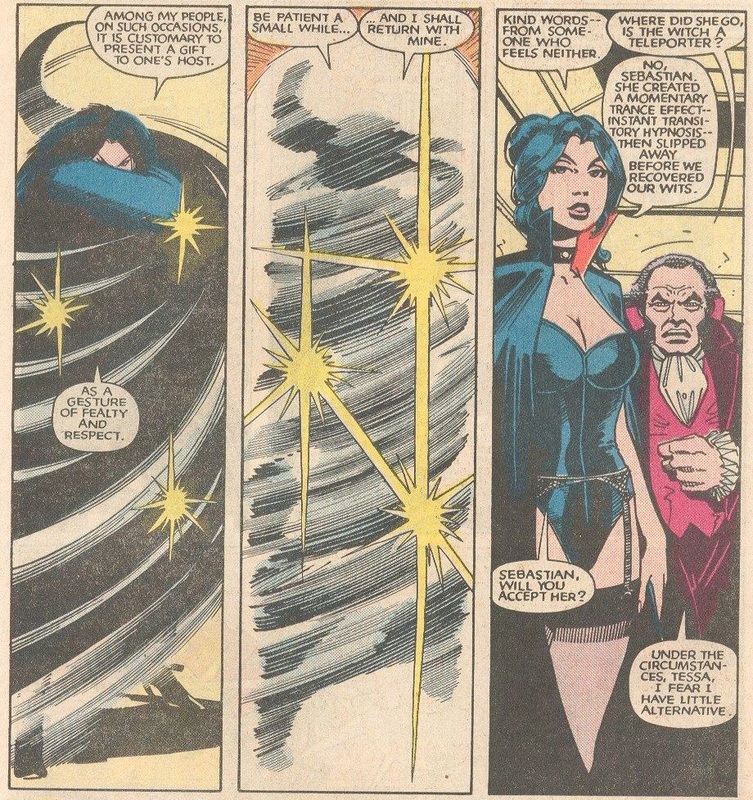 Could it not be possible that ‘Mindless Hulk’ was simply Banner’s survival mechanism running rampant and without an anchor to hold it in check, thrashing out wildly in an attempt to relocate its host? 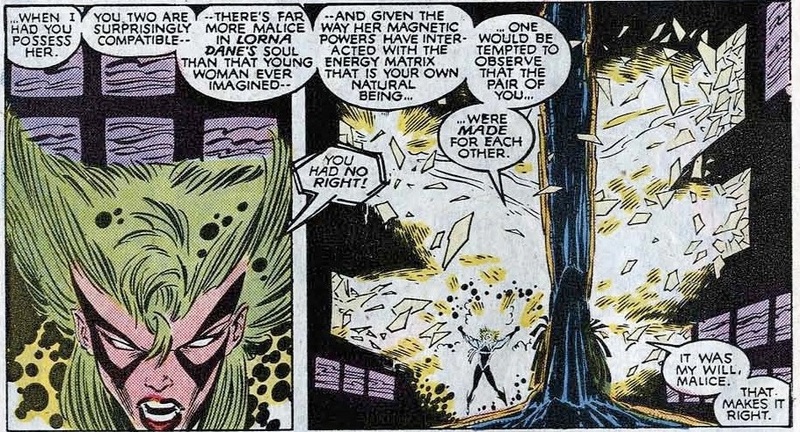 This was similarly the case when Doc Samson separated Banner from Hulk and created an even less cognitive version of Hulk, who due to the separation from Banner eventually began to die, until reunited. It’s also seems to be obvious that without Banner as his anchor Hulk continues to run unchecked and further towards a form of critical mass. 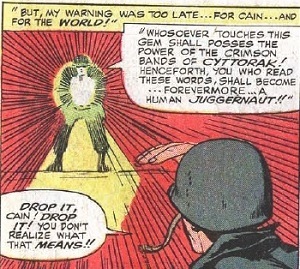 When separated during the Onslaught Saga, this time round Hulk’s strength grew exponentially greater, and he also began to leak radiation until he was restored with his Banner ‘anchor’. 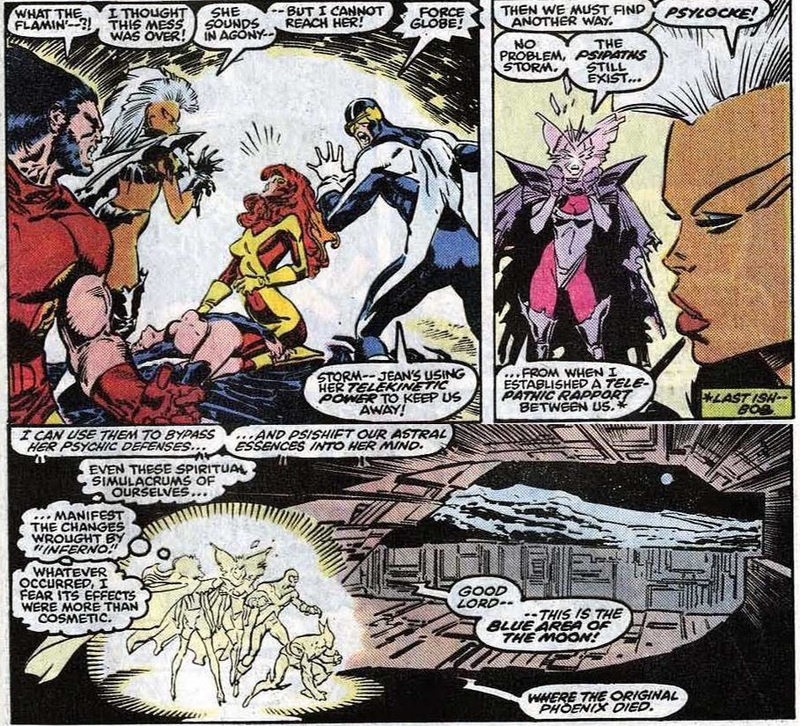 The suggestion is, that this time round as opposed to just dying from the separation, he might have actually exploded. 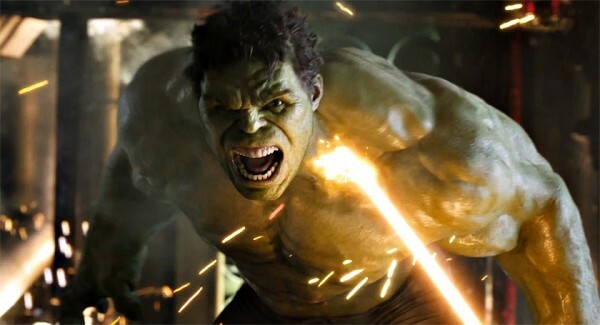 But returning to the idea of Banners ‘Hulk’ transformations as an ‘Instinctual Reaction’ to gamma mutation, and the personalities as a side effect of this new form of expression, we should note that the instincts, best described as inborn complex patterns of behaviour that must exist in every member of the species and that cannot be overcome by force of will, are not just a reflex reaction to Banner’s external stress stimulus. The absence of volitional capacity must not be confused with an inability to modify fixed action patterns as it seems Banner as a child was able to alter his natural instinct towards survival and anger, a possible inborn genetic trait passed on from his violent and abusive father, suppressing it enough that he would later develop great internal, unreleased rage and the manifestation of DID. 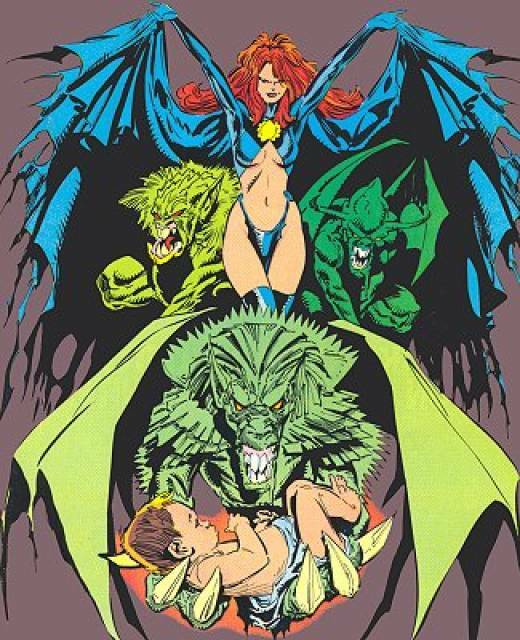 The Savage Hulk, most often compared to Bruce’s inner child, could thus be best described as Bruce’s survival instincts finally given release, in the form of a rampaging beast, fused with the child he was when he first learned how to suppress them. 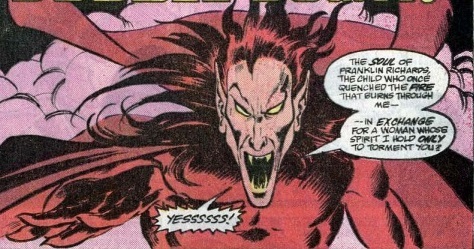 Further questions might arise however, when we consider that Banner’s psyche has massive numbers of personalities seemingly suppressed within. 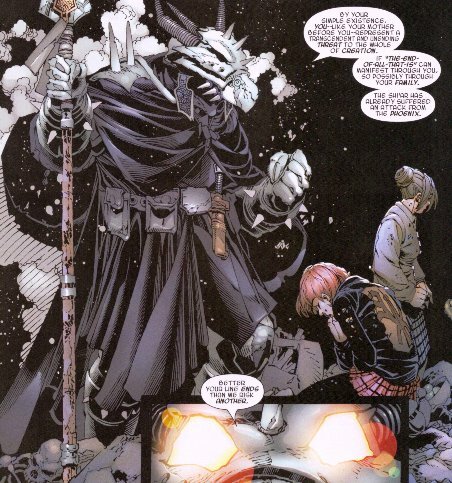 Guilt Hulk, Devil Hulk, Dark Hulk, Shrapnel Hulk, The Maestro and many more are all persona’s that have been witnessed within Banner, and only some of whom have ever found an outlet. The reason only some have emerged may be down to the strength of those said persona’s abilities to override or learn beyond Banner’s initial ‘survival instinct’ transformation. 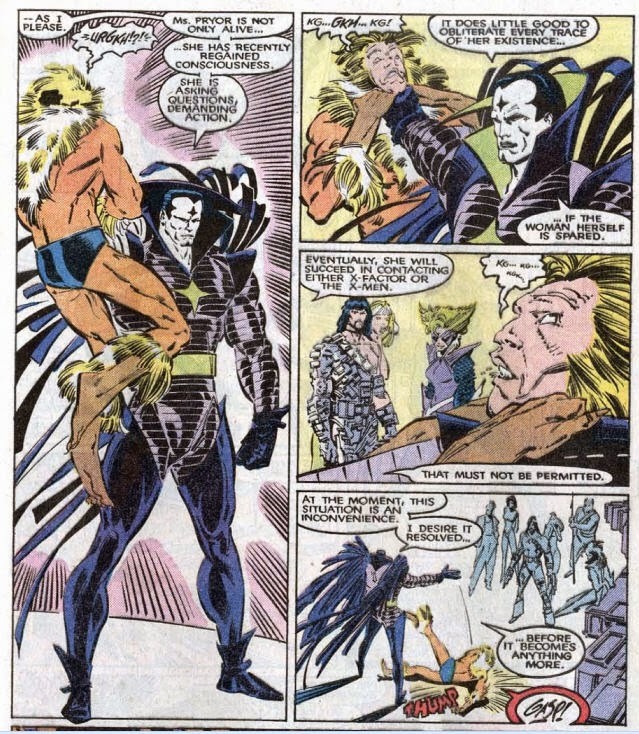 And while the personas have been combined, have run loose, or in the case of the Dark Hulk, a seemingly hostile extra-dimensional possession, mixed with Banner’s own dark feelings, (and a possible forerunner to the Maestro persona) exiled using magic and psychic tactics (via Doctor Strange and Namor) the manifestation of Banner’s survival has always been a reversion to the childlike ‘Savage Hulk’; the suppressed survival instinct of Bruce Banner as a child, given voice through the child he locked away, and with an abnormal cellular structure inherited from his father’s exposure to radiation which enabled his unique physiology to harness the gamma radiation from his own bomb rather than be annihilated by it. 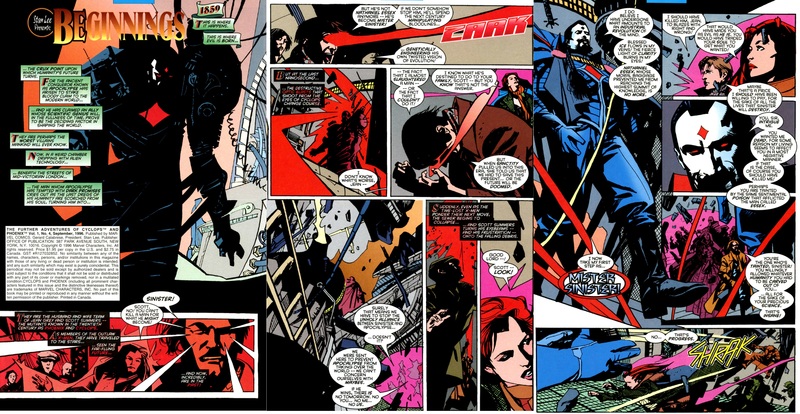 No matter how much Banner’s DID personalities work around it (Joe Fixit, Maestro, Green Scar, The Professor etc.) 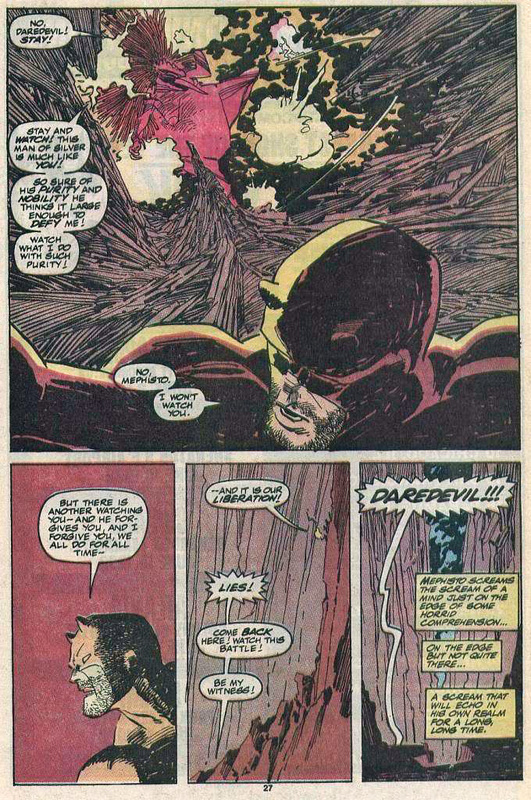 the reason they will never retain the same dominance as ‘Savage Hulk’ is that without Savage Hulk, the ultimate expression of ‘fight’ instead of flight and survival through adaptation (advanced strength, Healing and Durability) Banner would return to a level of vulnerability his body has since rejected, and die. Thus Banners survival is ironically linked to a transformation that gives his instinct form, paired with the personality he suppressed that is least equipped to survive. 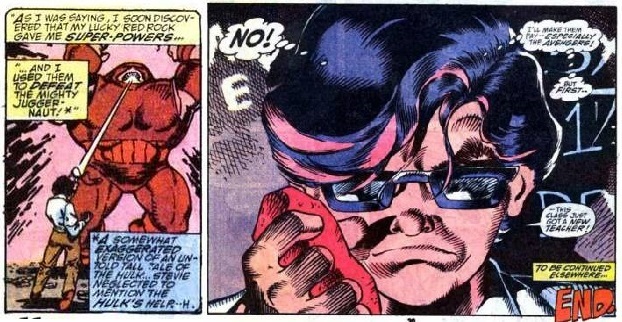 An abused Bruce Banner as a boy. 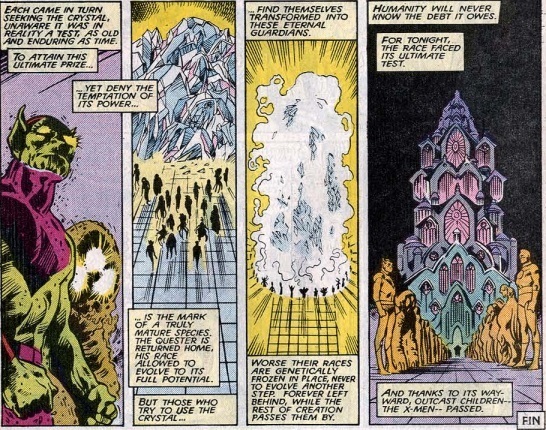 Hulk’s continued mantra ‘Hulk Is The Strongest One There Is’ also gives credence to the idea that Hulk is not only Banner’s survival mechanism in action, but by his sheer survival and subsequent mutation, a form of Darwinian evolution given unnatural possibility through science. Hulk is ‘the strongest one there is’ not only as a physical entity, but in his continued evolution and adaptability as the purest sense of ‘survival of the fittest’ given form. The fact that human survival hinges on our ability to out-think our surrounding dangers further builds on the idea that while Hulk is a creature of pure survival given physicality, it is the very human instinct, and subsequent psychological variance that empowers him. 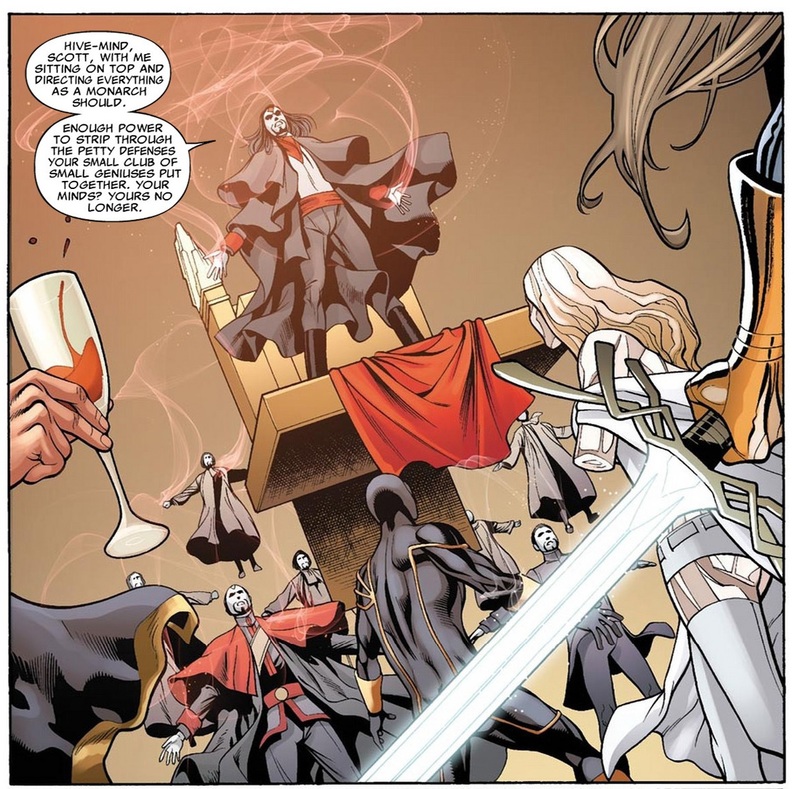 Fantastic Four aficionado, Chris Tolworthy, comes to the rescue with this second guest post in quick succession to his last, here! 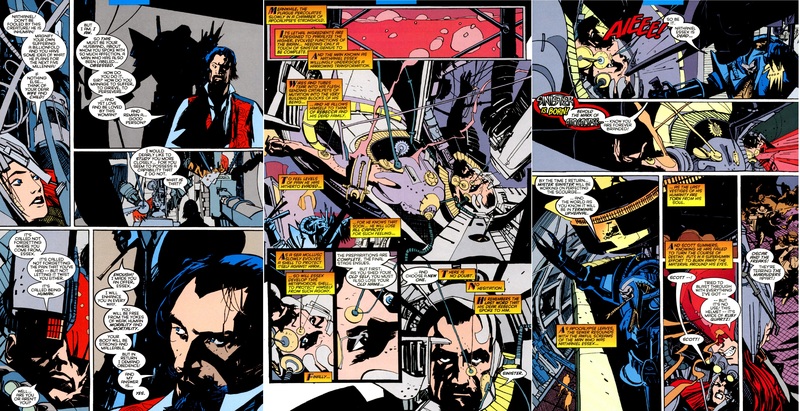 This “how would you fix” is about pretty much every Galactus story after the original classic. Even the good ones raise difficult questions; and the bad ones are awful. Yet there is a logic to them if we look closely. 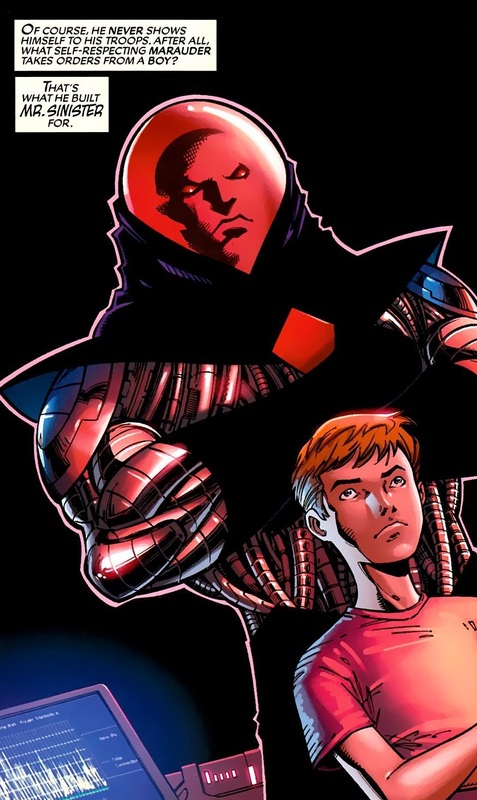 A solution is found by comparing Fantastic Four #262, Annual #23 and #604. Yes, #604. 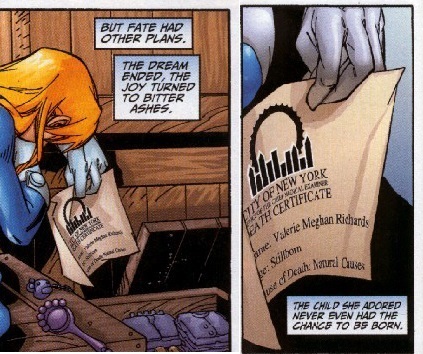 Normally I run screaming from any Fantastic Four number dated after 1990, but this one deserves attention. 1. 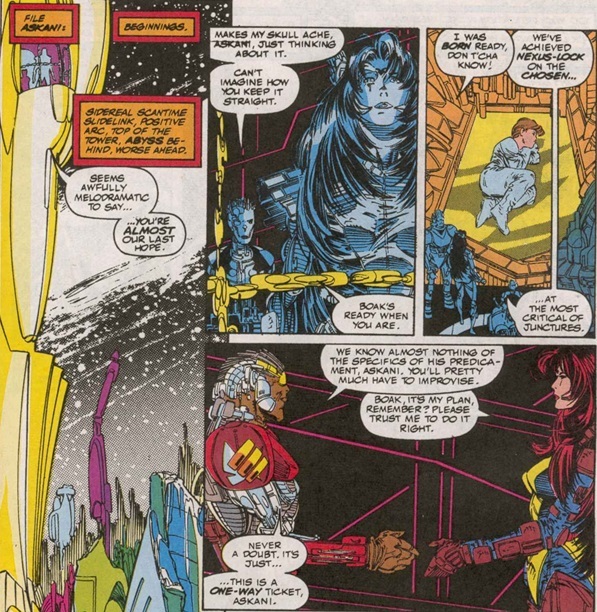 The original Galactus visit was a one off event. The Watcher said of these forces “you shall never see their like again!” Yet we allegedly “see their like again” regularly in later years. 2. 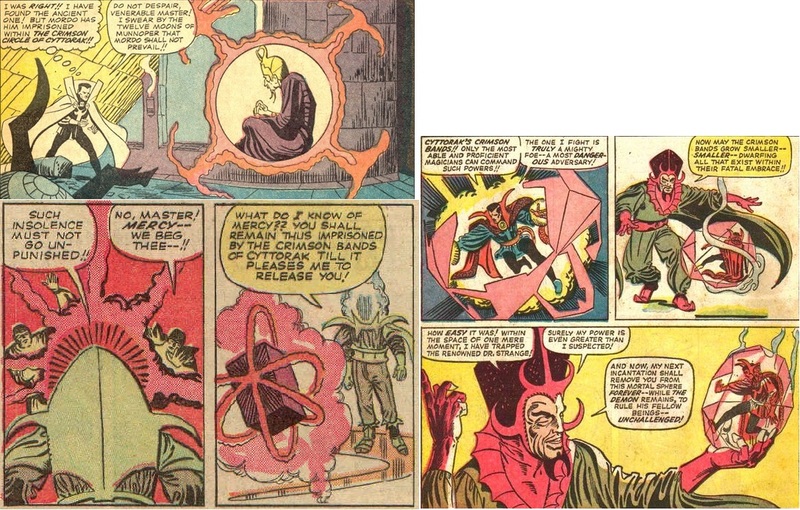 Galactus seems unaware of where the Skrull throne world should be. So either he travels so widely that he would not expect to visit the same galaxy twice within a few thousand years, or he travels at random and avoids maps. Either way, why does he keep coming back to Earth? 3. 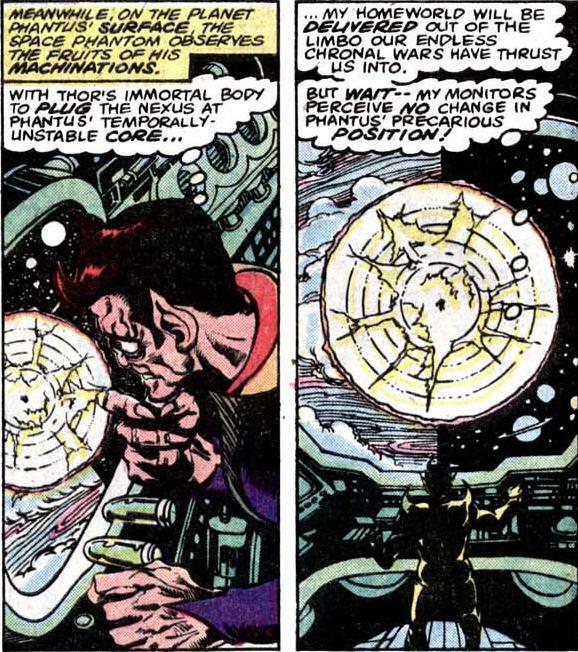 “Of all who inhabit the known universe, only GALACTUS has powers enough to match my own!” – so said the Watcher. We can quibble over the exact meaning of this phrase, but at the very least we cannot expect any Earth bound power or collection of powers to defeat him. Yet in later appearances he is routinely defeated. 4. The Silver Surfer is different. 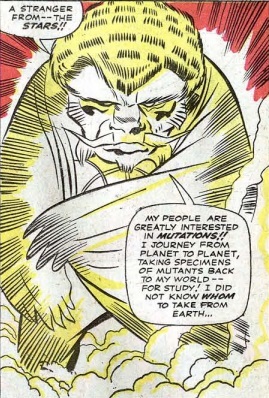 The original Surfer features in Skrull history books, books that less informed Skrulls have not read, suggesting that he’s been around a long time. 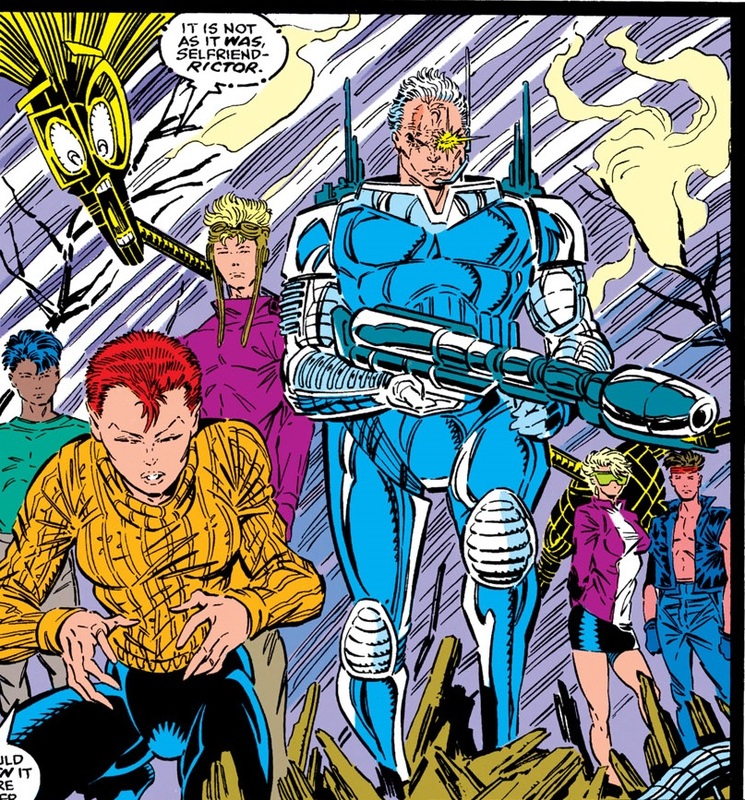 But there is no indication in the origin that the Surfer is any younger than Galactus. 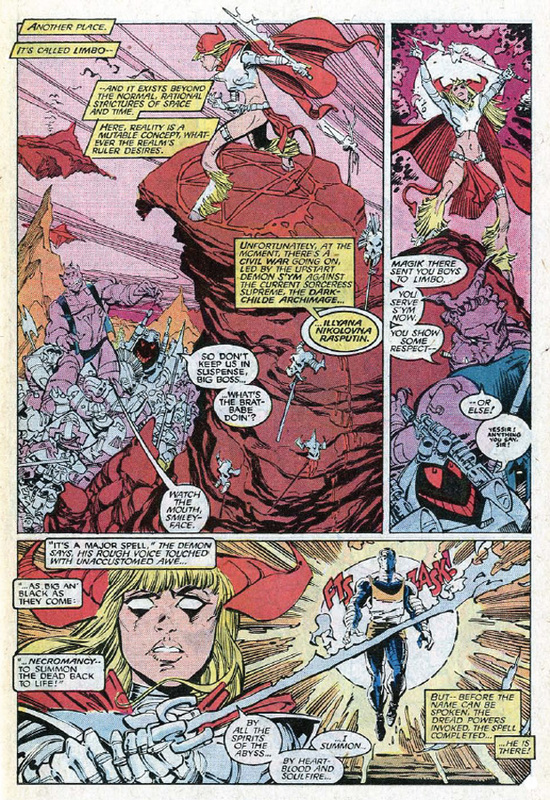 Galactus seems unaware of the Surfer’s full power: “Your power is far greater than I suspected, herald.” The surfer does not understand beauty or self-sacrifice: “there is a word some races use… a word I have never understood… until now! 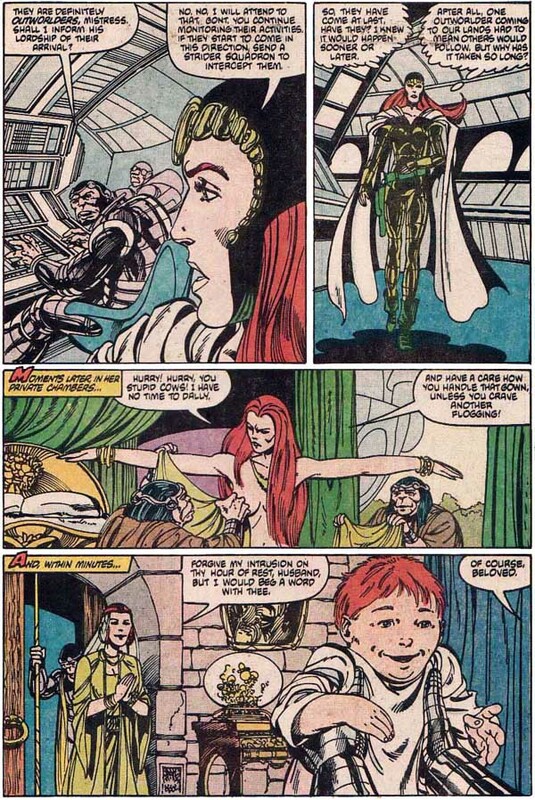 At last I know… BEAUTY!” and “I have learned from the HUMANS how glorious it can be to have a cause worth dying for!” Yet in later appearances we are told that Norrin Rad became the Surfer in order to save his home world, and his beloved Shalla Bal, who can still pass for a young woman (cf. Fantastic Four #153-155). 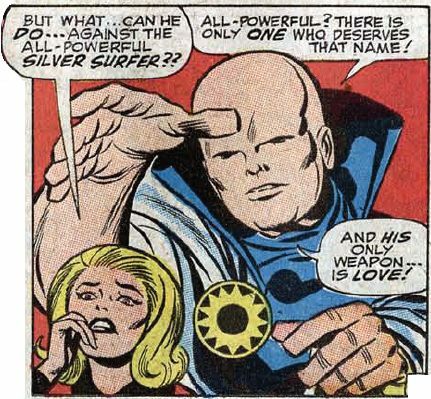 Granted, perhaps the Surfer’s race lives a long time, but this really sounds like a different person. 8. The original Galactus has a symbol of an eternal arrow on his chest (often mistaken for a letter G). Later Galactuses do not. They also alternate with sleeves or not, visible eyes or not, highly muscular arms or not. The ship changes completely as well: from a sphere to a wing to a cube. 9. 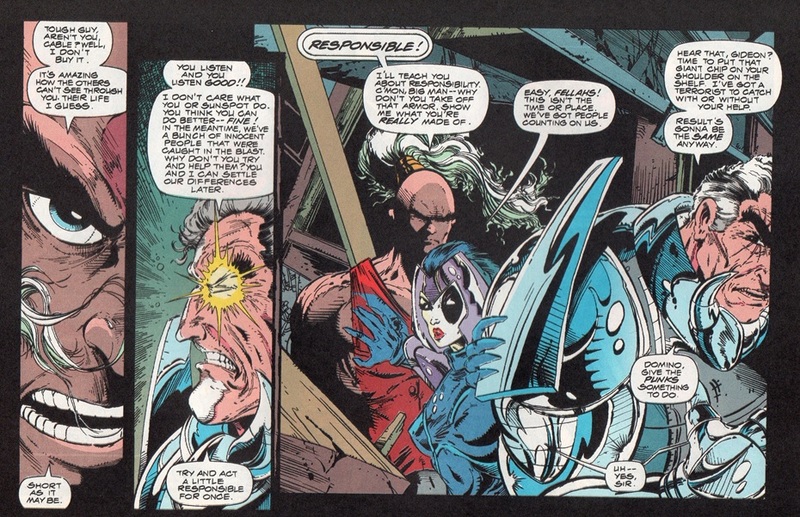 I gather that other comics feature problematic origin stories. 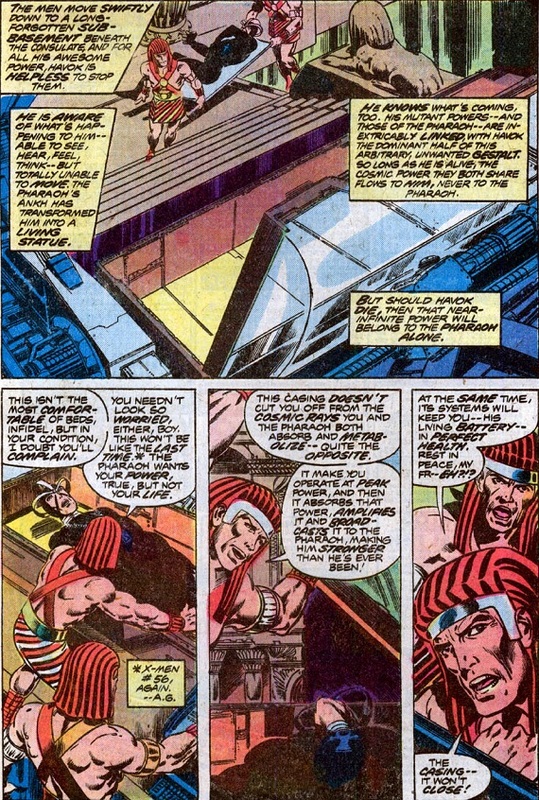 I think those problems will resolve themselves once we understand what Galactus is and how he operates. Now let’s look at a solution to the problems. 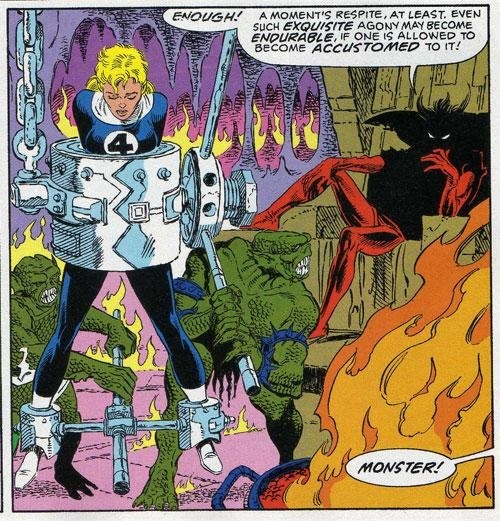 Our first exhibit is the backup story in Fantastic Four Annual #23. 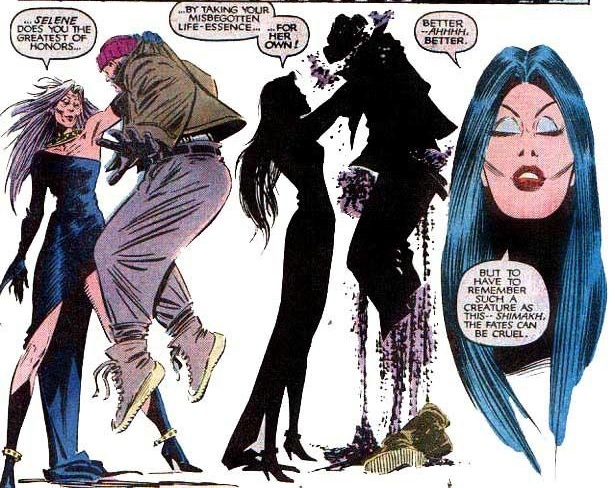 It follows from a similar backup story in Annual 22, and both could be considered together. 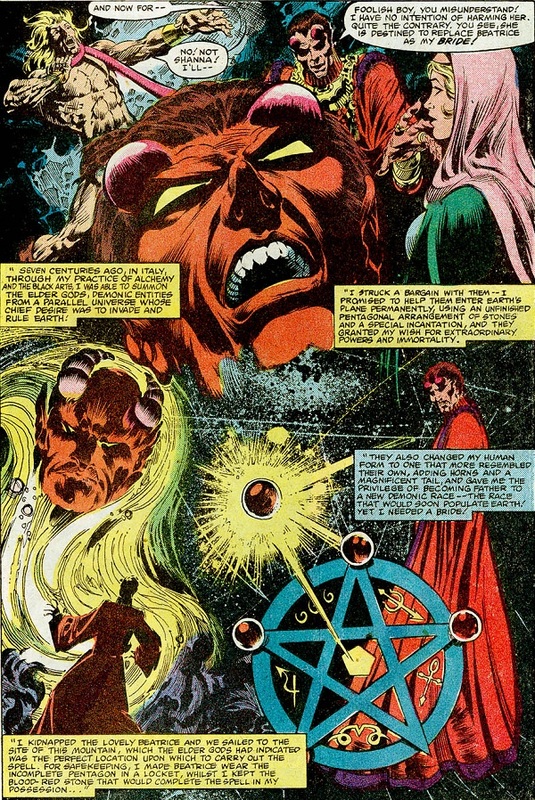 They give an overview of the highest powers in the universe, and I would like to draw your attention to a comment about the Celestials. 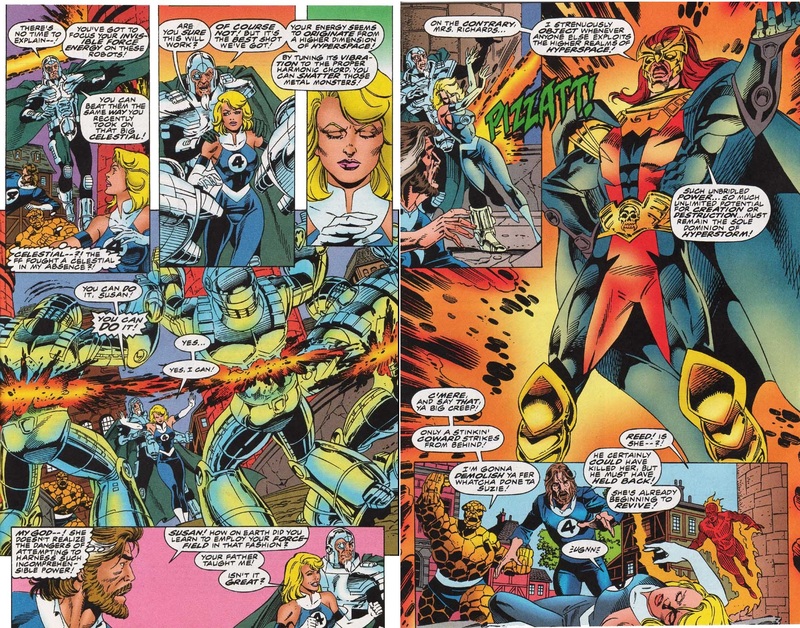 A certain character in another comic was shown defeating Celestials. 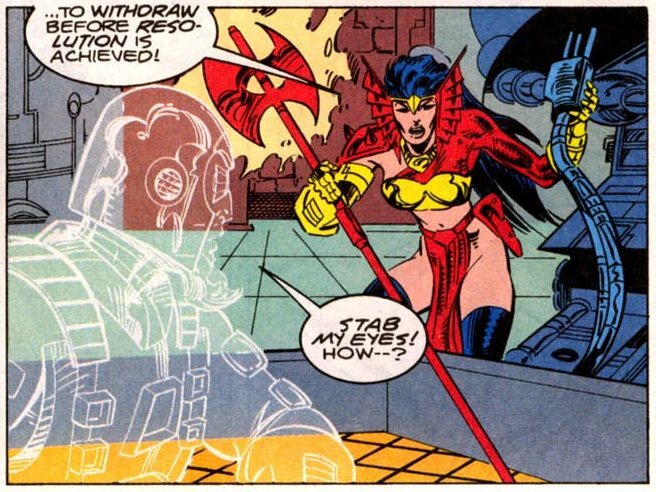 But that is just because it suited the Celestials for him to believe that. 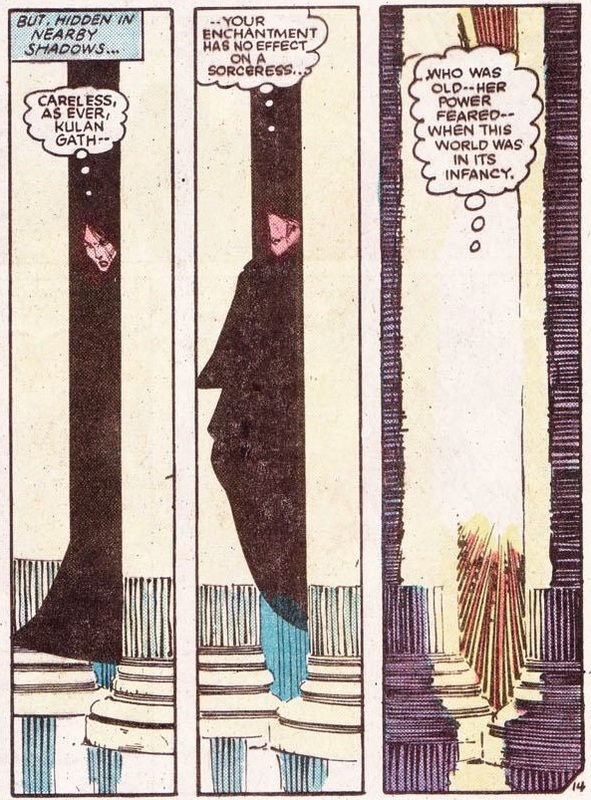 The stories also show that scale is largely an illusion, and there is much we do not know (the Beyonders, for example, are barely known at all). This is as we should expect: advanced beings are not like us. They do not look or think or act like us. We can draw some conclusions, but those conclusions may be surprising. Let’s go, shall we? 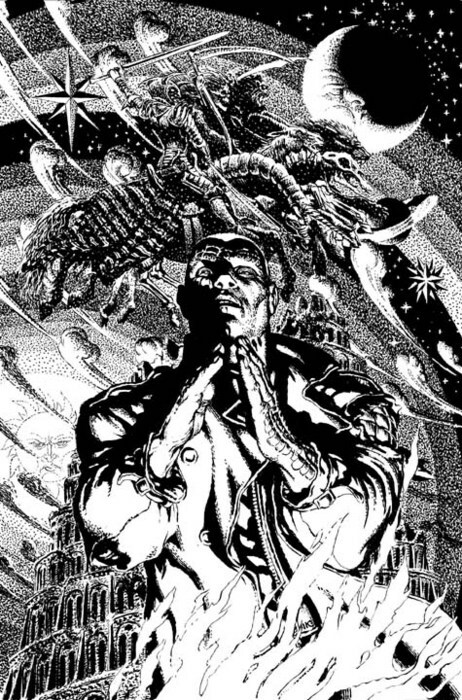 Advanced beings probably operate on higher dimensions. This means one being might have multiple appearances in this world. Imagine your 3D body appearing in a 2D world. Like putting your hand slowly through the 2D surface of a bath of water. To that surface, your hand appears as 5 separate shapes, then those shapes join, change shape, get thicker… one being appears as multiple slightly different beings! We can see this already in the real world: as people we exist online as avatars. One person can have many avatars at the same time. As Artificial Intelligence improves, our avatars could even answer questions on our behalf. We can exist as multiple beings! 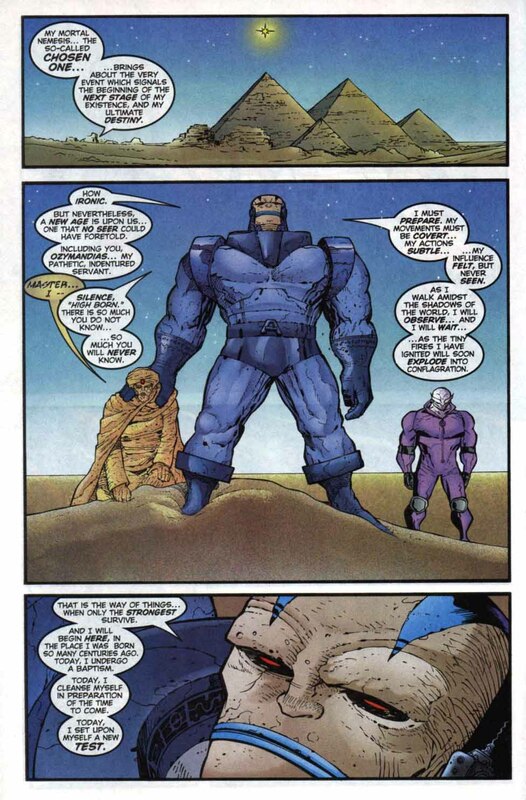 Now recall the Watcher’s comment that there are basically just two powerful beings: the Watcher and Galactus. 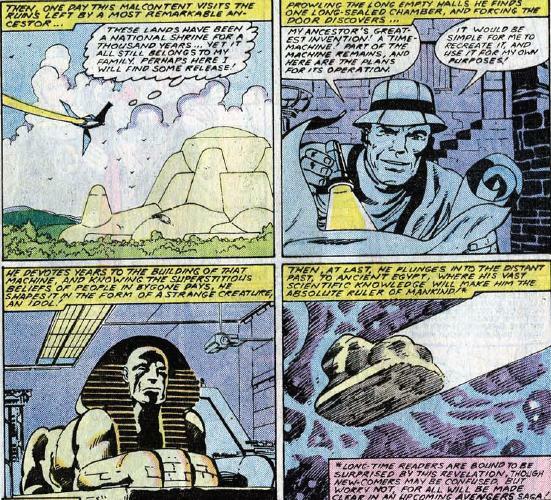 It seems reasonable to suppose that the Beyonders, Celestials, etc., are merely aspects of Galactus. 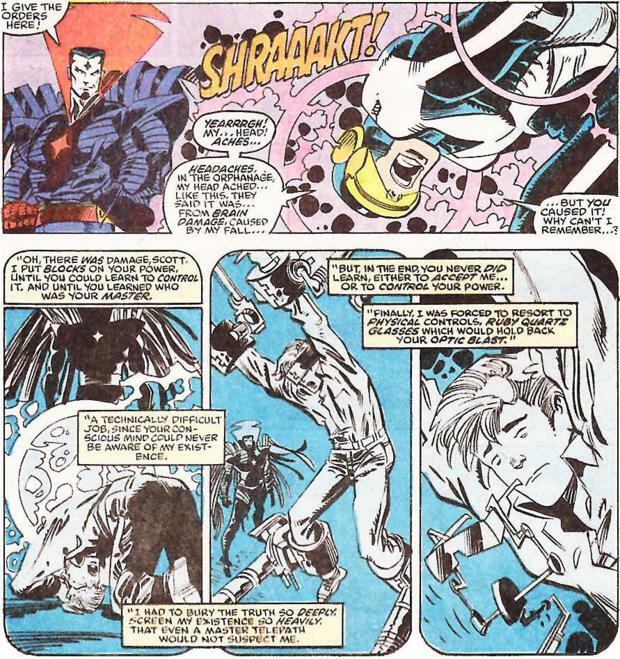 Galactus tests planets (eating those that cannot hide), the Celestials test planets (Arishem the judge), the Beyonders test planets (by providing rewards for those who reach a certain level), and so on. I further submit that each Galactus is a different aspect of the one Galactus, hence the different appearance, history, and behaviour. 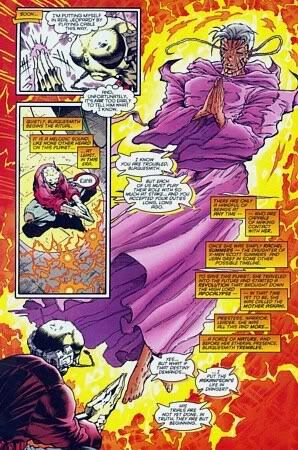 The Surfer may also have been raised to a higher dimension to gain his powers, explaining his different versions. 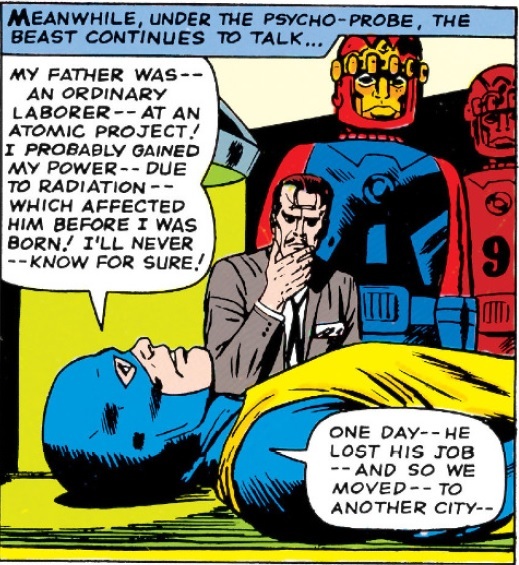 Our next exhibit is Fantastic Four #262, and follows from the previous discussion: we are shown (in the Trial of Reed Richards) that each civilisation sees Galactus in its own image. We have the Galactus that most suits us at a particular time. 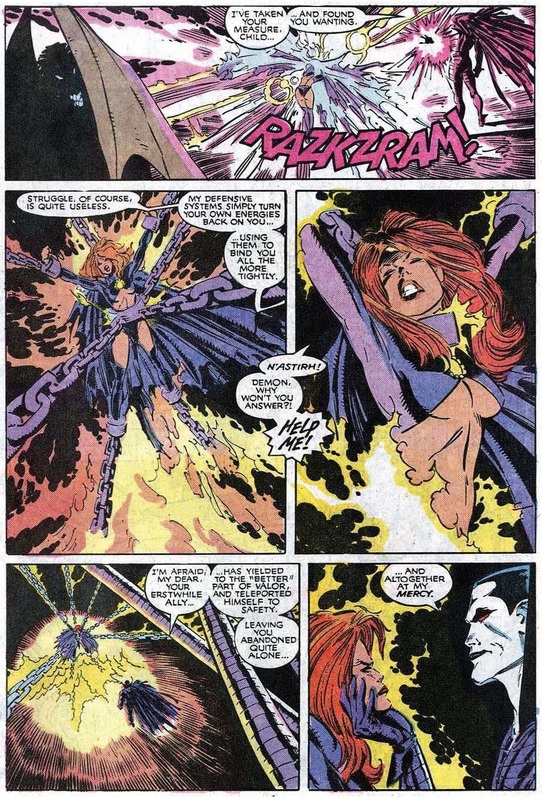 Remember that the highest powers in the universe tend to personify concepts, such as Eternity, or the Living Tribunal. 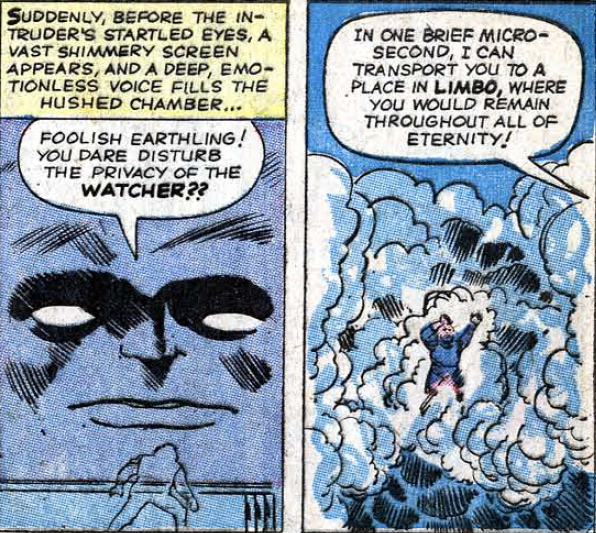 It seems likely that the Watchers personify knowledge and Galactus personifies testing or truth (the same thing). It is only natural that these concepts change according to who interacts with them. 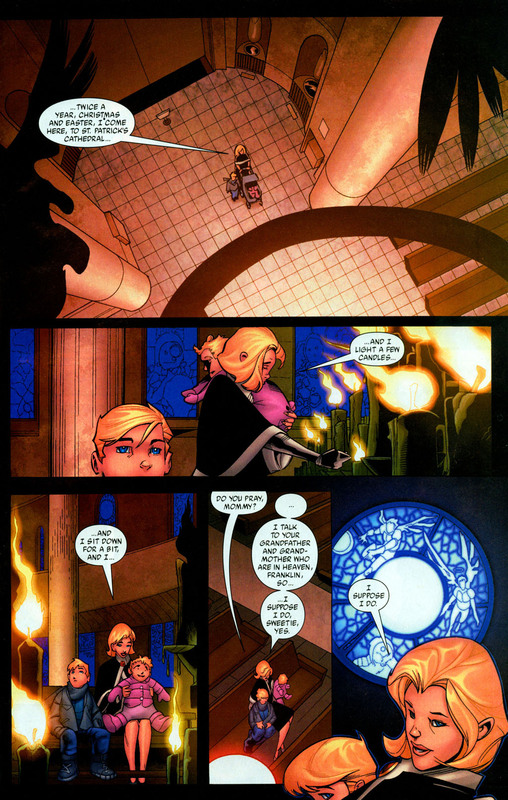 The final exhibit is Fantastic Four #604, the climax to Jonathan Hickman’s long arc. 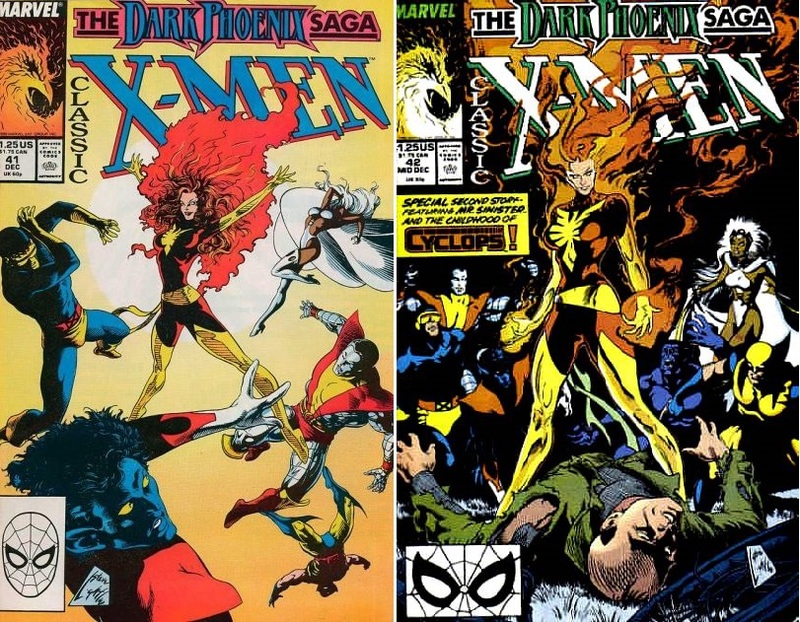 My view is that after issue #321 we see different realities slipping in and out of focus, so I take most later stories with a pinch of salt (with the exception of Claremont’s run: he appears to use the original Fantastic Four). However, Franklin exists across dimensions, so every Franklin appearance counts as canon. But this is not an essay about Franklin, so I will cut to the chase. I did warn you about spoilers, didn’t I? 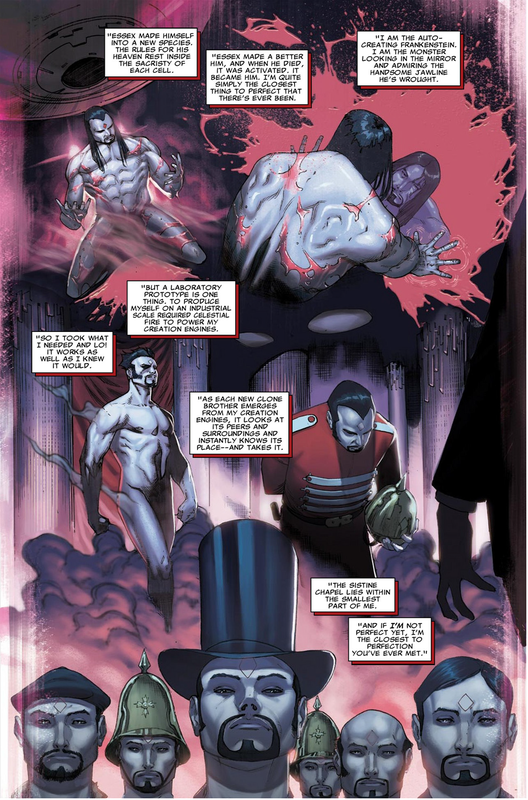 OK, here is the conclusion to Hickman’s 50 issue arc: Galactus is the herald of Franklin. Yes, you read that right. Don’t act horrified. It makes sense if we step back and look at the nature of Franklin’s power. Franklin basically connects realities. I won’t go into details, but he is a doorkeeper. He lets the entire universe (or a part of it) slip into an alternate universe. By letting people switch universes he appears to be creating or changing entire universes, but it’s more subtle than that. It’s more like connecting doorways, except you do not physically walk through any door, the normal passage of time does the walking for you. It’s all quite simple and subtle really. As Annual #23 said, scale is an illusion. But this is not an essay about Franklin. 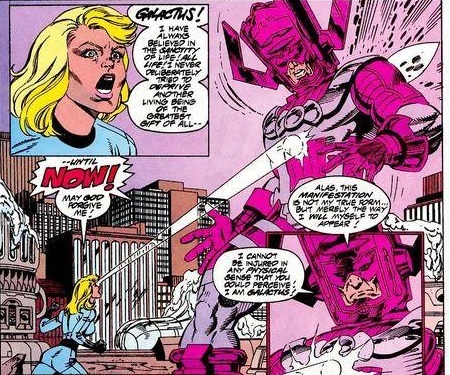 If Franklin’s power is to connect universes, and Galactus personifies testing, it follows naturally that Galactus is the herald of Franklin because every test leads to a new state of the universe (e.g. 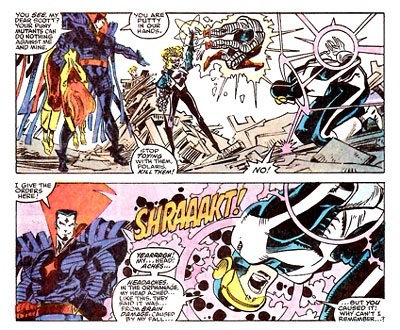 one where we have defeated Galactus or one where we are destroyed). 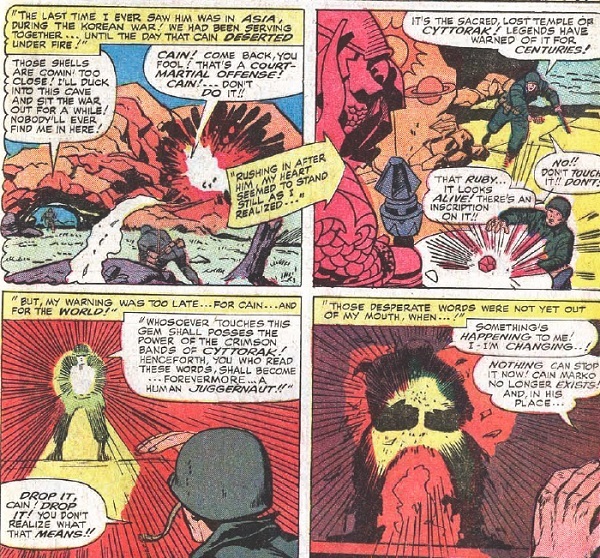 All the rest of it, the explosions and battles and Kirby dots and such, is just how we experience this higher dimensional testing and connecting. 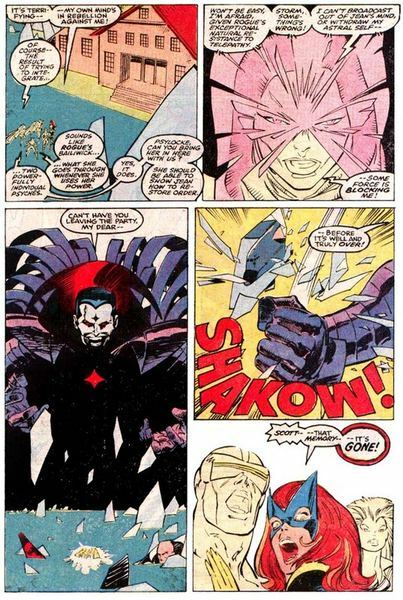 Galactus only appears in his big G form when the test is of a particular type. 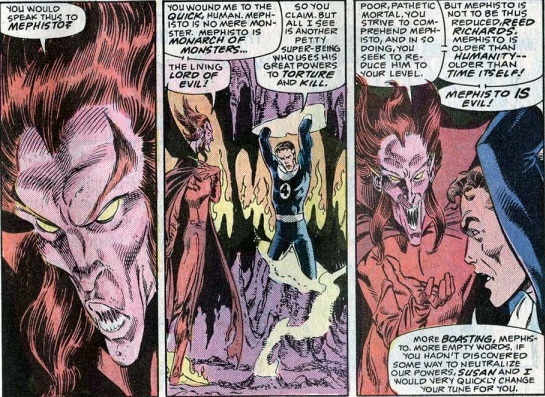 Fantastic Four #48-50: this was the great test. 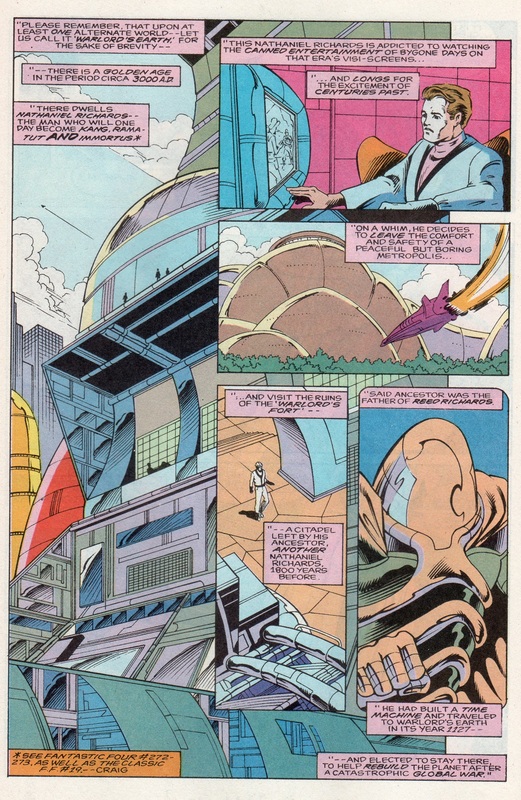 Galactus finds the Earth at random, and he represents all the grandeur of the universe, as you would expect. 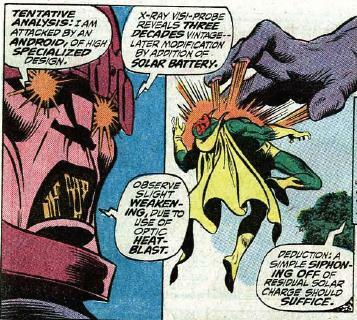 Notice that the Ultimate Nullifier is basically a crude Franklin tool: it jumps everything to a different reality. 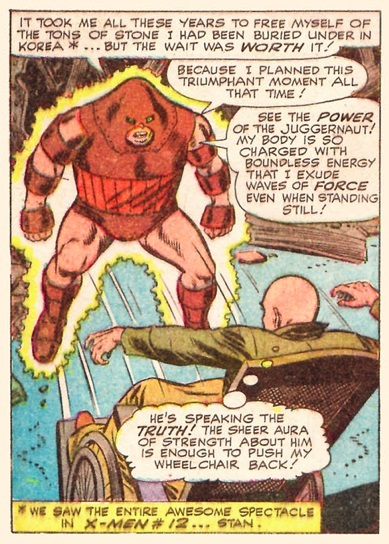 The next appearance of Galactus, Fantastic Four 74: One year later (1967) Sue learns she is pregnant with Franklin. 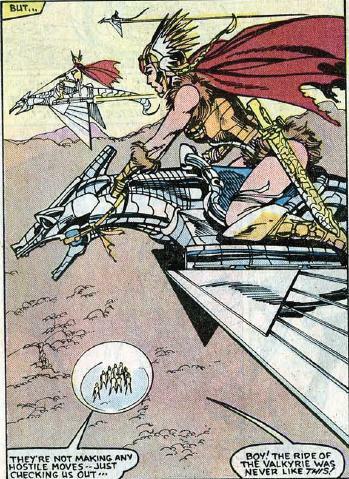 She learns in Annual #5, a Microverse story. 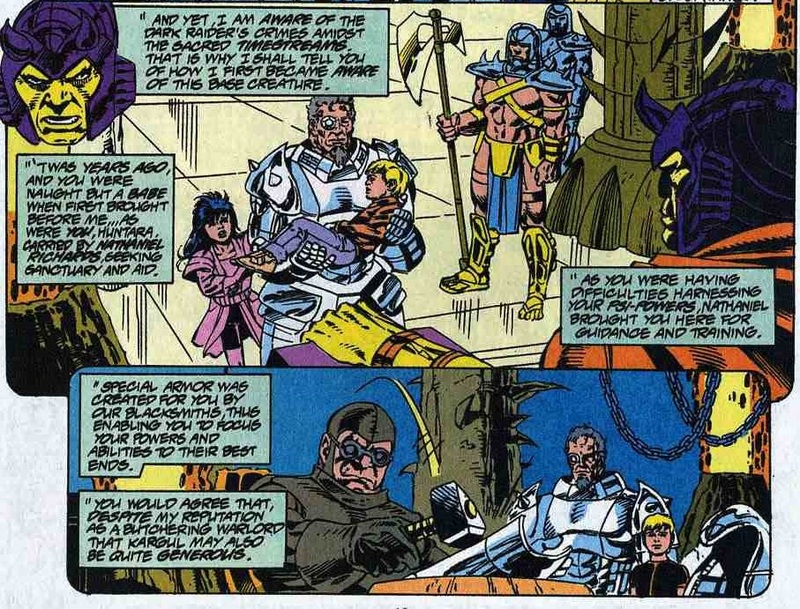 Soon after, in another Microverse story, Galactus feels drawn back to Earth against his will (“Galactus did VOW to NEVER RETURN– and yet, he is HERE!”) and is inexplicably desperately hungry. 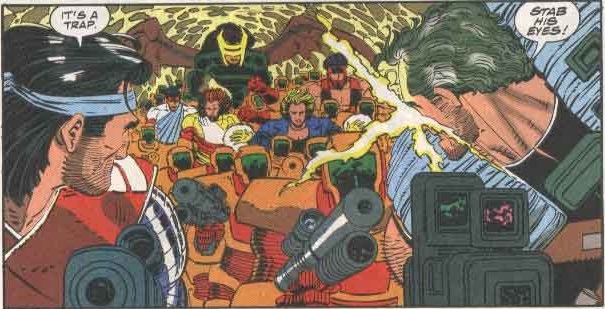 Ironically the boys are rushing around like mad things (seriously this is probably the busiest arc ever) and they think they are letting Sue rest. 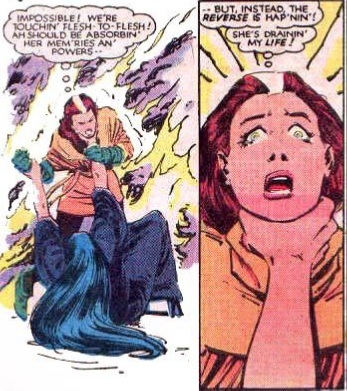 But the real story is going on inside Sue’s womb: Franklin’s stress hormones are dragging Galactus to Earth. 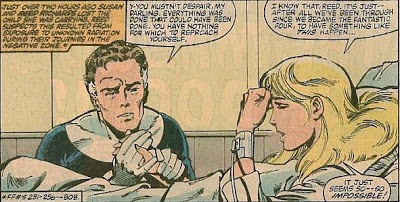 The next appearance, Fantastic Four #122: Franklin’s life is relatively uneventful for a few years (except for the birth, but this was probably a Caesarian due to the complications, so Franklin probably didn’t feel too stressed). But by the age of four Franklin is old enough to realise what is going on, and it coincides with the beginnings of the family problems that I call Act Four. (Although Franklin is four years old in 1972 he only lets himself appear as two years old.) 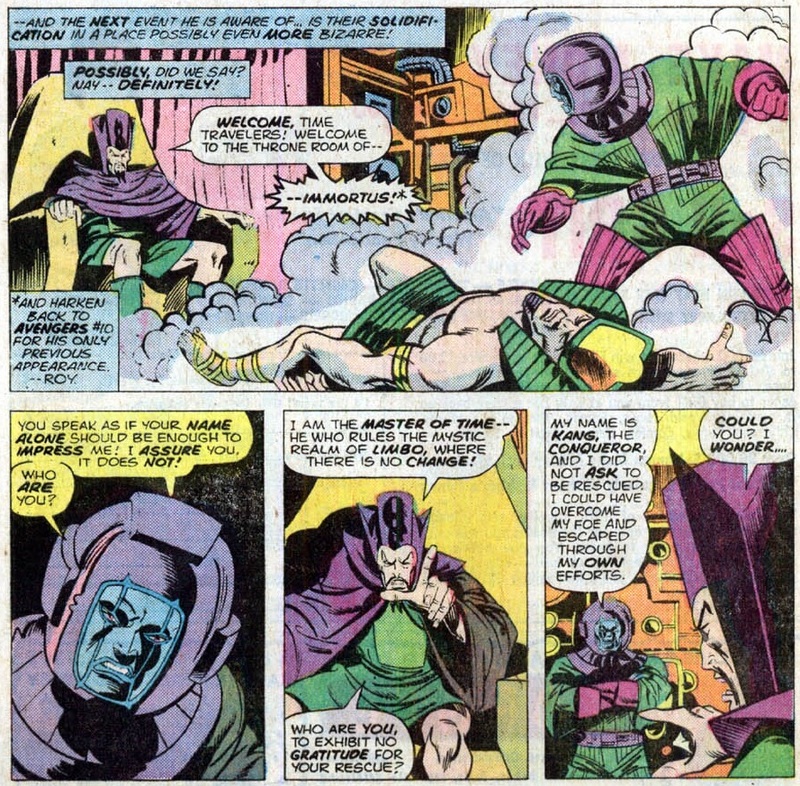 Franklin must be worried, as Galactus is drawn back to the Earth, and acts like a four year old: he looks like a toy soldier with bulging muscles, and acts very dumb (tripped over by Ben, and has an easy to access spacecraft with a gigantic self-destruct button). He even plays with a roller coaster and giant train set. He is basically molded to Franklin’s four year old brain. 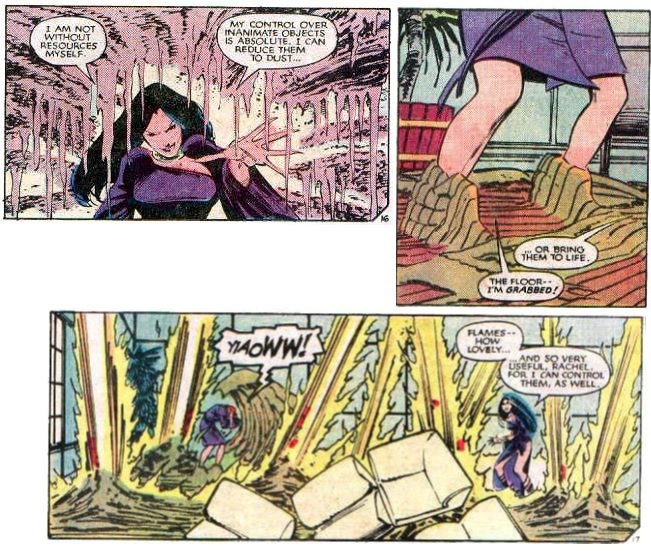 He is announced by Franklin’s nanny, Agatha Harkness, Agatha watches throughout, and he (Galactus) ends up in Franklin’s home turf, the Negative Zone. 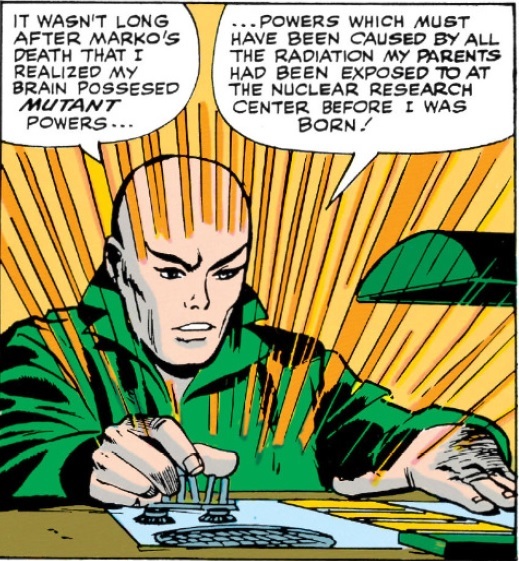 The next appearance, Fantastic Four #172: Though Franklin is brain zapped in the #140s he isn’t really aware of this (he is far more concerned with what happens to his family). 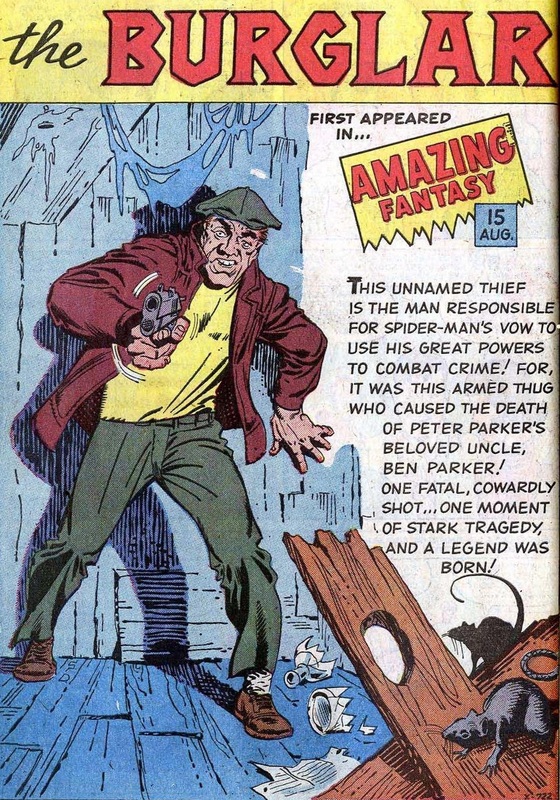 Franklin is next aware of major problems when his uncle Ben fights against the family, then loses his powers and is replaced and fights them again. Franklin’s eight year old brain (appearing as three years old) has a typical eight year old solution: he unconsciously has a new, better Earth built, and summons Galactus there so his family can prove once again that they do the right thing. 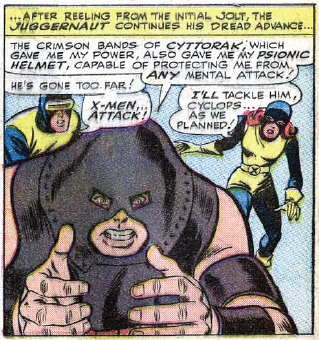 And how does his eight year old brain get rid of Galactus this time? By giving him indigestion! The next appearance, Fantastic Four #212: Franklin is getting older and better at controlling things: Galactus is becoming more of a friend. 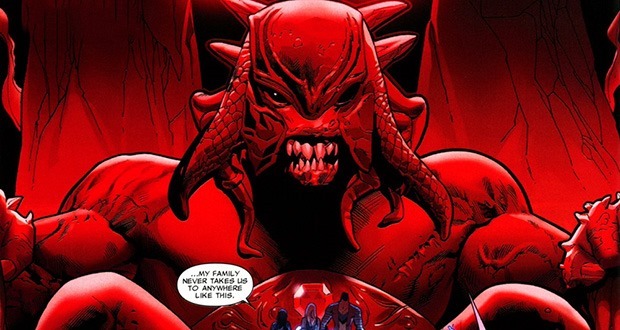 The family experiences a new crisis – Sue and Reed and Ben age and almost die, so Franklin unconsciously summons Galactus to help against the Sphinx. 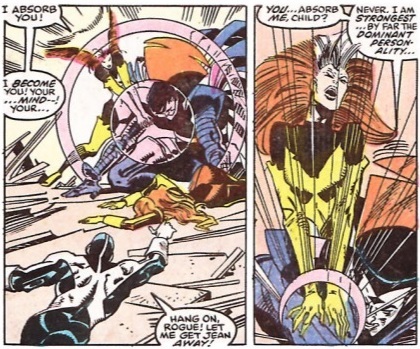 Obviously he doesn’t just say “come here Galactus” – it is all unconscious through manipulating reality so that others do the job, but the result is the same. 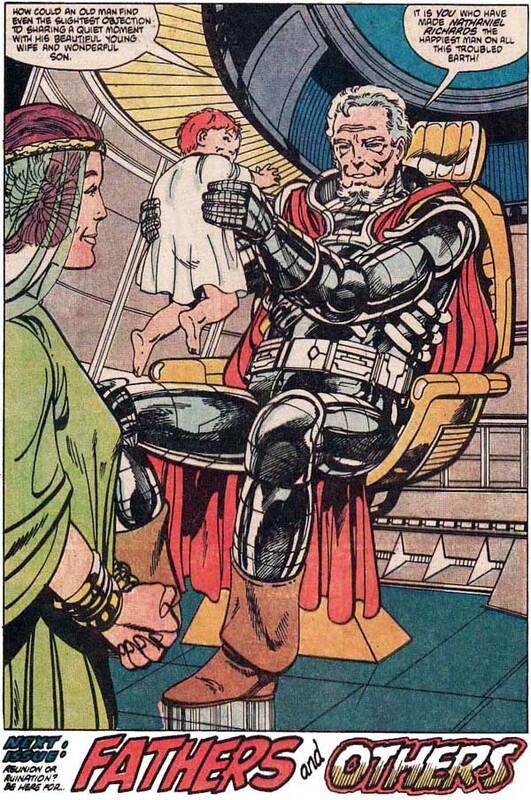 When he finally masters his powers in Fantastic Four #604 then yes, he does say “to me, my Galactus.” Of course Galactus still asks for his dinner, but that is just how the test always goes, and the family always passes the test. 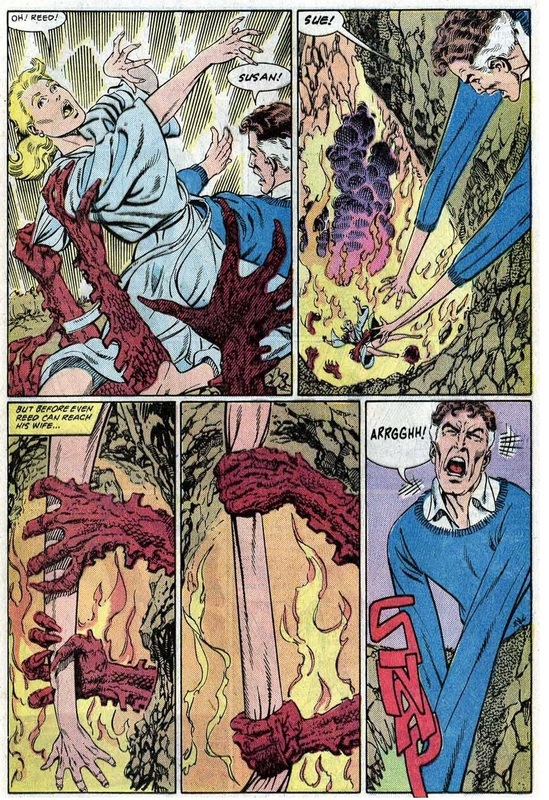 The next appearance, Fantastic Four #243-44: The most traumatic experience in Franklin’s life (pre-Waid) is when he is hung upside down as fresh meat for Annihilus. 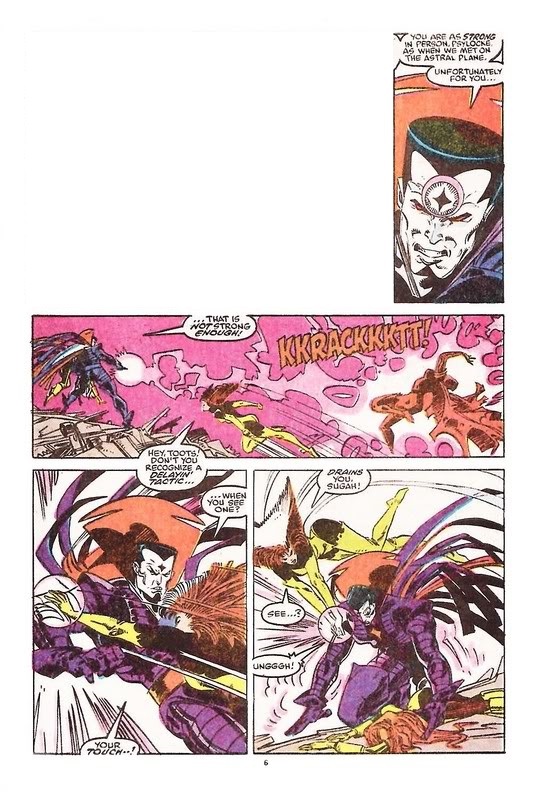 This trauma not only drags his parents back from Reed’s Negative Zone debacle, but also drags Galactus along. By now Galactus and Franklin are best buds in whatever higher plane they occupy. It plays out in this reality as Reed saving the big G’s life and becoming BFF. 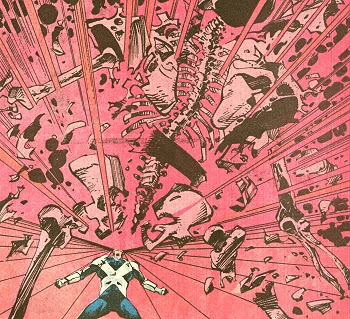 And that ends the Galactus threat. 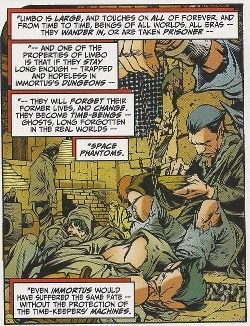 At least as far as the original Fantastic Four is concerned (i.e. 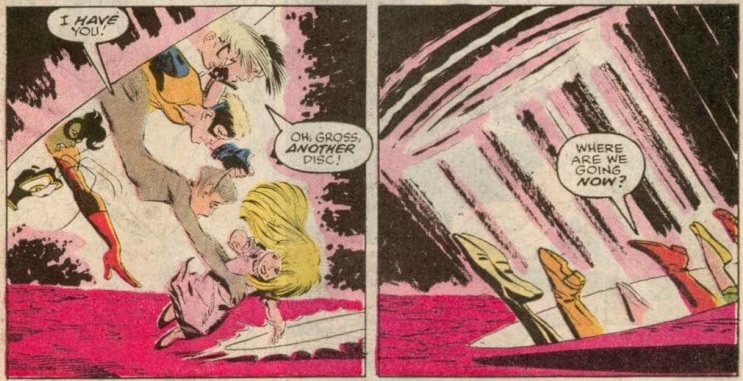 pre 1989, pre Fantastic Four #322). As for other appearances, origin stories, etc., what we see is merely our four dimensional glimpse of a five dimensional reality. 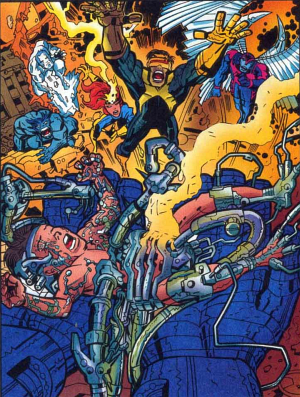 We only ever see a partial Galactus, a Galactus-adapted-to-our-needs, or more likely a story made up by the Bullpen. 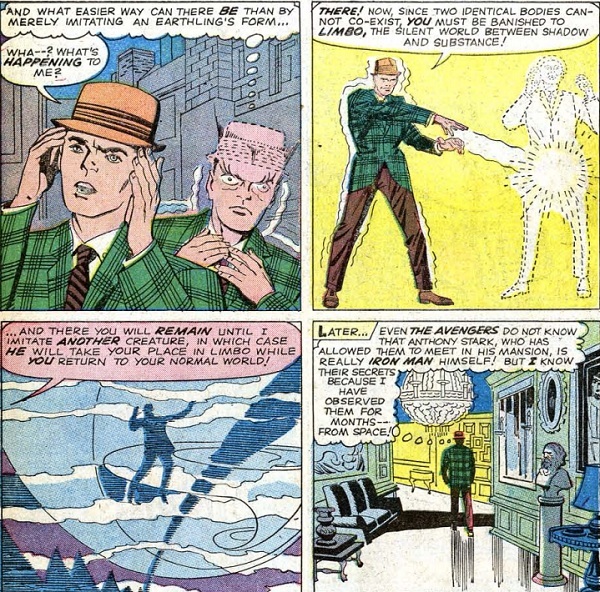 Only the Fantastic Four report directly to the Bullpen: other comics include wild speculation, especially where secret identities are concerned. 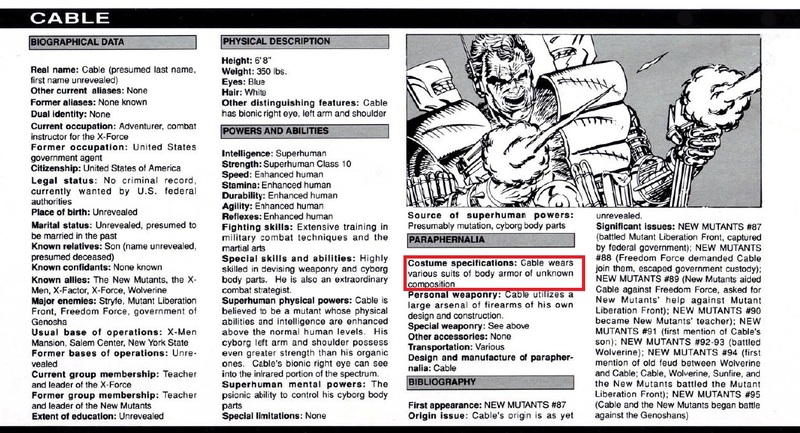 So we should not get too hung up on the details if some other version of Galactus is a bit odd. Untangling it is half the fun. 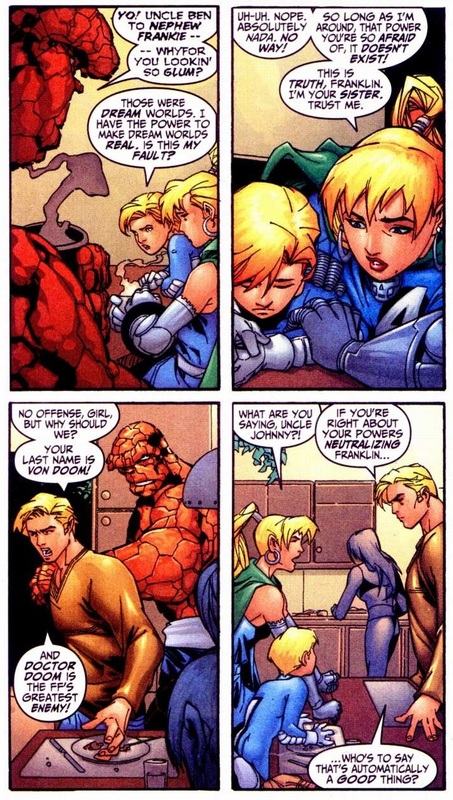 Note: Fantastic Four #257 was part of their seventh encounter, when they had become friends. Note the Biblical significance (6 is struggle, as in 666, 7 represents peace, as in resting on the seventh day, 7 angels, etc.). 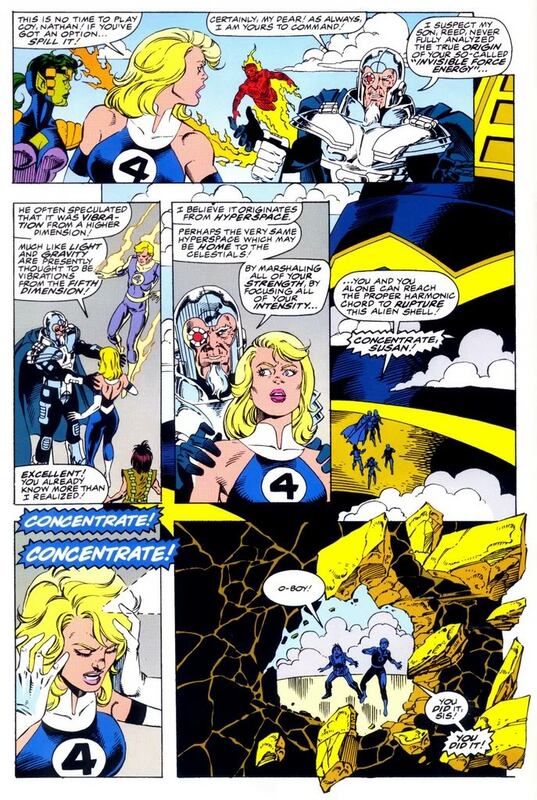 The Fantastic Four have six battles, leading to the seventh encounter as friends. Hmmm. Since 1964, Ben Grimm (The Thing) has referred to his “old aunt Petunia” as a source of wisdom. 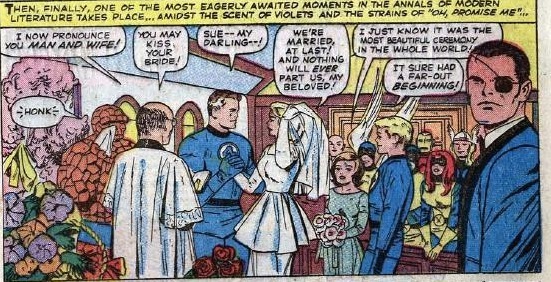 Note the word “old.” But in Fantastic Four #238-239 we finally see her, and she is young. How young? She looks to be in her 20s or 30s. O’Hoolihan calls Petunia “a foin broth of a girl” and Johnny considers her attractive. Assuming an upper age of 35, and with the stretching time scale between 1961 and 1982, she was born after 1935. But for Ben to have fought in WWII he left home in 1945 at the latest. Petunia would have been 10 or younger when she was dishing out old lady advice to a teenage Ben. More seriously, she was supposedly a qualified nurse and possibly even married to Uncle Jake at this time. The numbers do not add up. 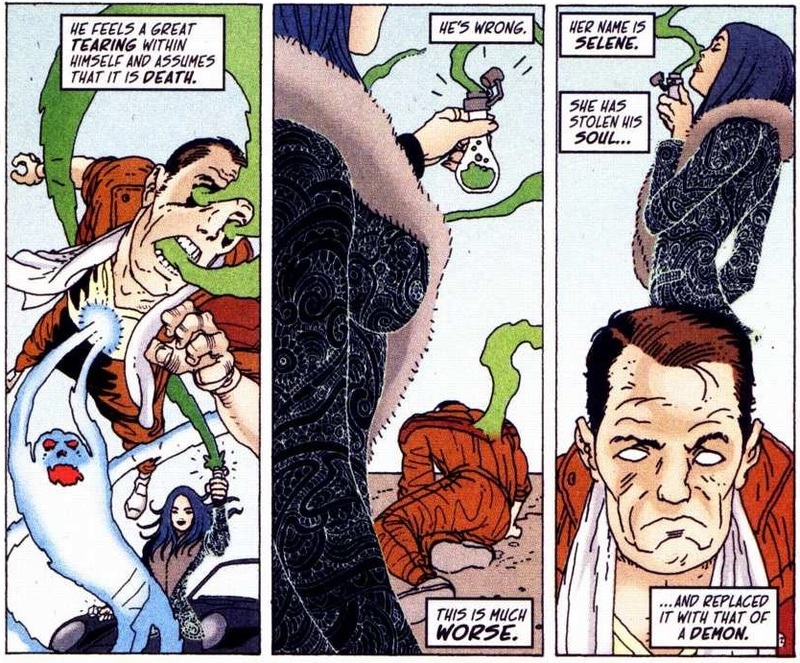 Figure 1: Ben’s “old aunt Petunia”, from Fantastic Four #239, page 5. As an aside, Petunia has a highly dated name. Flower names (rose, lily, iris, etc.) had an explosion in popularity around the year 1900, but the fashion soon ended. Babycenter.com now ranks Petunia as number 12,986 in popularity (compared with the dated but still possible Susan at 840 and relatively trendy Alicia at 185). Everything points to Petunia being a generation older than Ben, and not a married nine year old graduate. However, the story suggests a solution. Petunia appears to ask Ben’s help with problems in the town. We learn that ancient earth spirits are causing the bad people to face their inner demons and die, and the solution is to get the bad people to leave. Only a handful of good people are left, including Petunia and Jake, and a girl called Wendy who spends time with the spirits. Perhaps Petunia also spends time with them? Wendy does not tell people what she knows about the spirits. At the end of the book she is shown with the spirits, a fact not revealed to anybody. But if it was not revealed, how was it in the book? 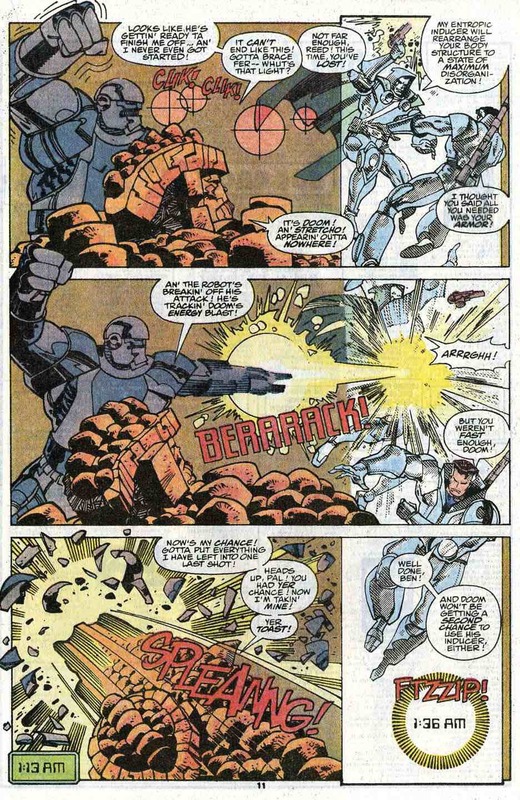 In the Fantastic Four we only see what the team tell Marvel: if the team don’t know about it then it can’t go in the book (cf. Fantastic Four #10, #176). 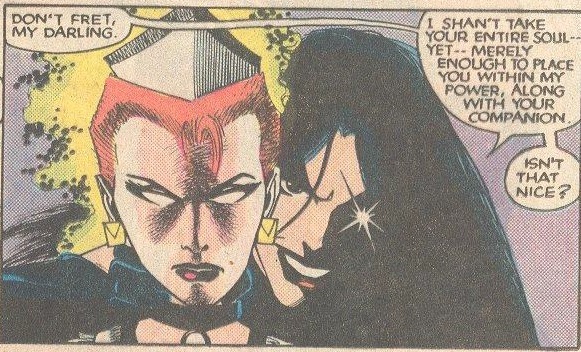 How, then, did they know Wendy’s secret? Presumably somebody else had experience with the spirits.. Who else could it be but Petunia? Jake is not mobile, but Petunia is feisty and curious: another Wendy. Petunia would have explored there as a small girl (face it, there was not much else to do) and, like Wendy, would have discovered the spirits. Perhaps “Wendy’s friends” are not just the spirits, but also Jake and Petunia. 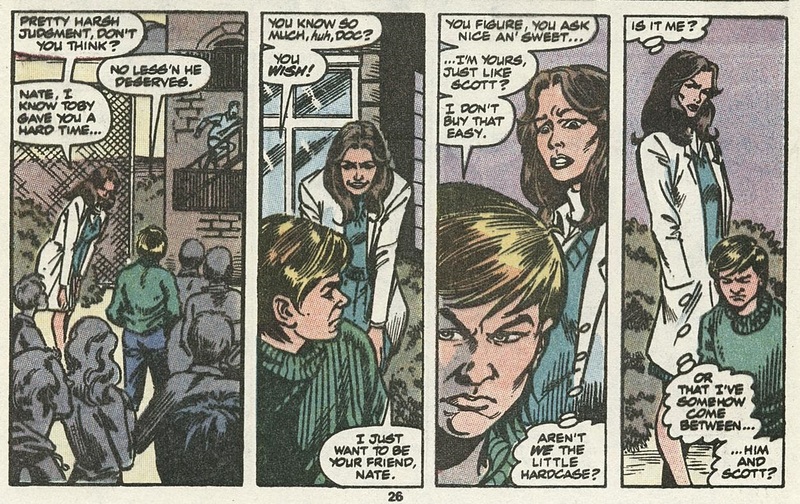 Figure 2: Ben’s Uncle Jake was once angry we are told, from Fantastic Four #239, page 7. Jake is also another version of Wendy’s father: he was once angry, we are told. He comes from a time when men were often violent, and Ben comes from a culture of violent gang members. But now Jake is at peace. Perhaps Wendy’s tale is also Petunia’s tale. Perhaps it is really all about Jake, but like Wendy, Petunia and Ben are too loyal to ever speak against him. Jake had to face his inner demons, the demons of the violent earth that made his generation (the last generation to sweep the Native Americans away): he had to reap the whirlwind. Notice that redemption comes from the land itself. The American settlers lose their thirst to conquer the land and begin to cooperate with it. 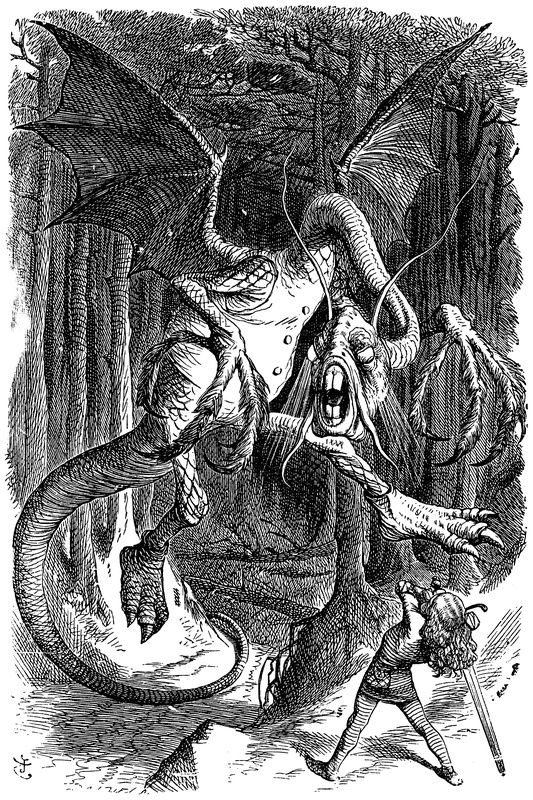 The Grimm story is the story of the people of the land. Note that none of this contradicts “second wife” or “many years younger” story. But the significance is not that a 50 year old man married a 9 year old, the significance is that a 50 year old man married a 30 year old who healed his anger. First, did Petunia move to Arizona too late to be this young? 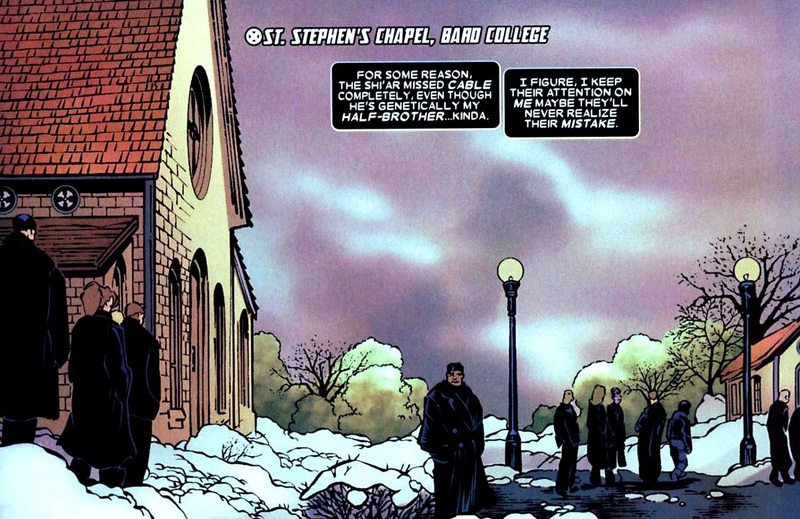 She said they moved to Arizona “shortly before” Fantastic Four #1. But why would two New Yorkers choose Arizona? Seems a long way from New York – where they trying to escape? Or did they already have connections there? Second, Jake is portrayed as a nice middle class doctor who was only angry because of his legs. 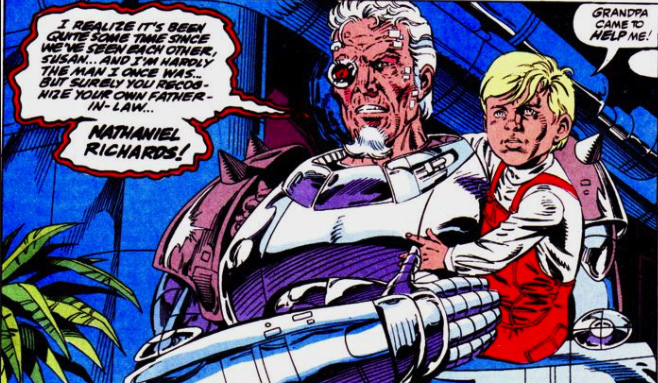 He contrasts with Ben’s alcoholic father and gang leader brother. In The Thing #2 we see how Ben idolised his brother, but then his brother was killed in a gang fight, and Ben went to live with Uncle Jake. 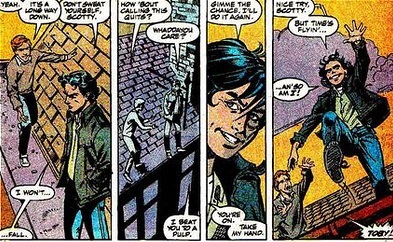 Later Ben became leader of the same Yancy Street Gang; and only THEN did Jake talk to Ben about leaving the gang. Something does not add up. While it is possible that a lower class alcoholic has a middle class doctor for a brother, it is statistically unlikely. More seriously, Jake knew that Ben’s favourite brother was killed in a gang fight. Why did Jake wait until Ben was gang leader before suggesting it was a bad idea? It sounds like Jake was saw gang membership, including stabbing, as perfectly acceptable. Third, we are told that people disapproved of Jake marrying a much younger woman. But the numbers suggest this was only a man in his fifties marrying a woman in her thirties – unusual but hardly a scandal. Fourth, why did Petunia have such an influence on Ben? 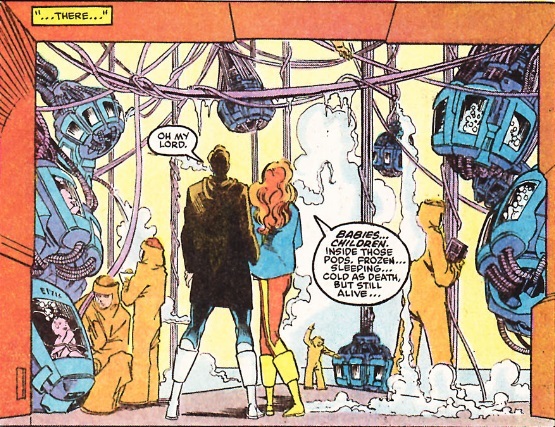 According to The Thing #2, Ben was raised by his aunt Alyce, and Petunia did not arrive on the scene until later. Ben was a gang leader while Petunia was a student nurse who claims she never questioned anything Jake did. Why would Ben be influenced by Petunia more than Alyce? Petunia’s story is all very neat – far TOO neat. Jake was an idealised man? Jake needed the excuse of an injury to explain why he met this nurse? But he was a doctor in a busy hospital (cf. 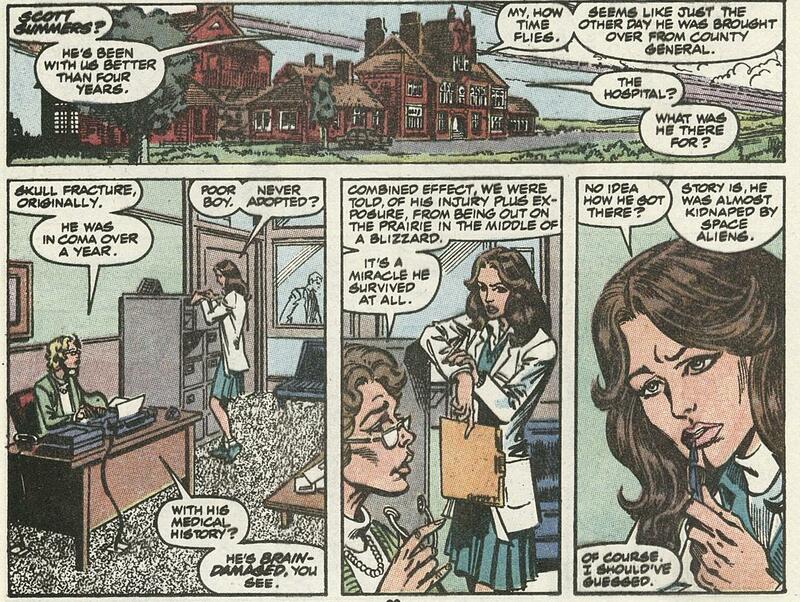 Fantastic Four #238, 257): he worked with nurses all the time! Then it took years for Petunia to be Jake’s student and then eventually his wife, and then become an influence on Ben? There isn’t enough time. And Petunia never questioned Jake? 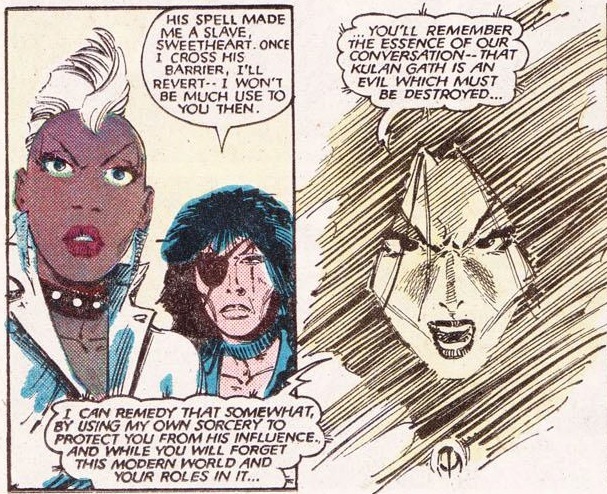 This doesn’t sound like a woman that the rebellious Ben would idolise. A simpler explanation is that Jake was seeing Petunia before the accident, and we are hearing the sanitised version of events. I am not suggesting that Jake killed his wife deliberately. But if Jake was seeing somebody then his marriage may not have been a happy one: Jake’s brother was an alcoholic. It’s easy to see how Jake might have been driving after drinking, and having a lot on his mind. That would explain why he and Petunia wanted to move from their home in New York and get as far away as possible: accidentally killing your wife then marrying your much younger mistress is quite a scandal, and they would want to get away. In short, Jake was not innocent. Though Petunia probably is. Petunia must have a pure heart, to survive being friends with the spirits. 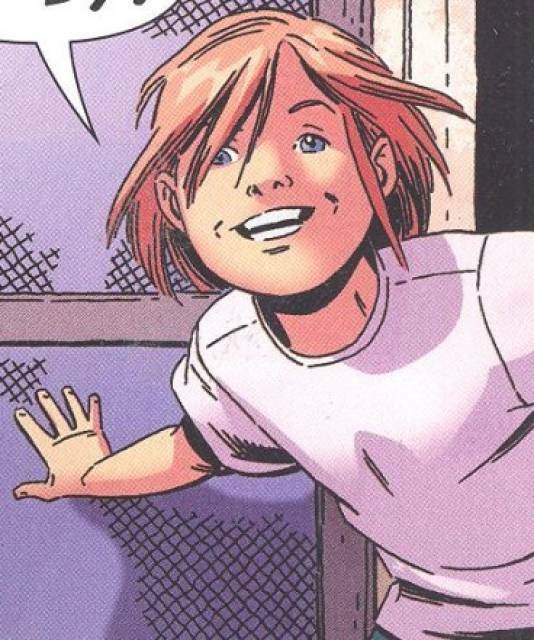 Fifth potential problem: if Petunia knew about the spirits, why didn’t she tell Ben? For the same reason that Wendy kept them secret, right to the end. Some things are best not discussed. But why would Petunia come to ask help from Ben if she could already talk to the spirits? Because the evil in the town is causing deaths, and she needs help to get the bad people out of there. Wendy did not tell everything she knew, so why should Petunia? Finally, why did Ben not notice that Petunia had not aged? 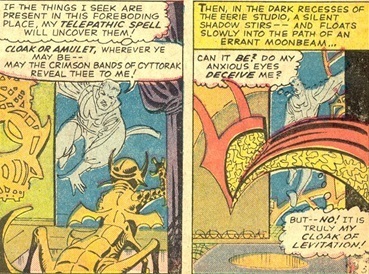 Reed notes that the spirits may still be around in ten thousand years. Like the Native American “ancient ones” found by the Miracle Man, they appear to have slowed aging to an almost standstill. 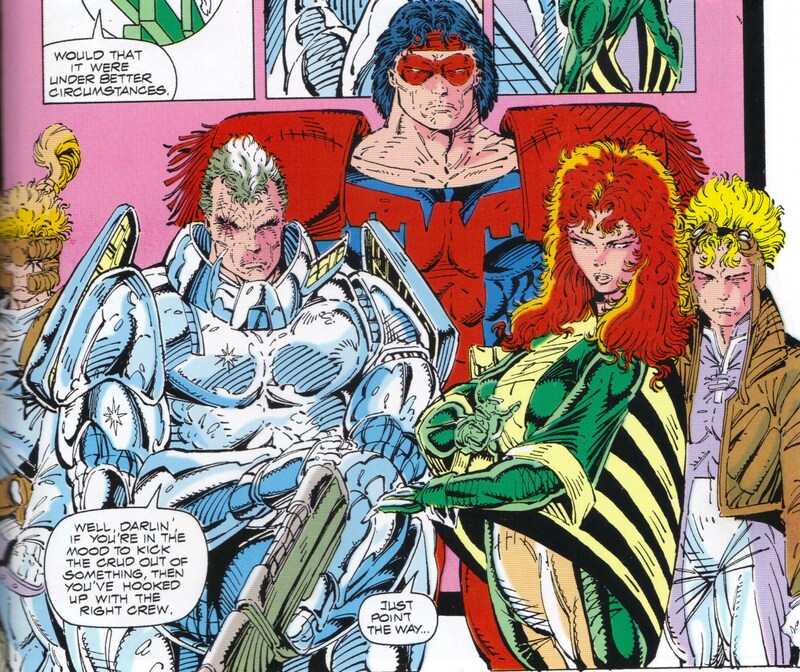 Being around time-stretching superheroes keeps a person young (as noted in the fourth-wall-breaking She-Hulk book), so perhaps being around these earth spirits will slow aging to a crawl. This would explain why Petunia had barely aged since Ben knew her when Ben was a child (and 35 then seemed ancient). This also explains why Ben does not notice that Petunia has not aged: time dilation in comics is never noticed by those who experience it.